Welling Town overcame the worst possible start to complete an impressive treble, beating Red Velvet 4-2 to retain the NRG Gym Barry Bundock West Kent Challenge Shield at Sevenoaks Town. Conceding an own goal inside the first minute, they came from behind to lead 2-1 at half-time, and Brima Daramy added a third soon after the restart. Prolific Velvet striker Harry Taylor pulled one back, before Ryan Golding’s late penalty sealed things. Town’s victory saw them retain the trophy adding it to their Division 2 West title and Kent Reliance Junior Cup success. The game completed a trio of entertaining League Cup Finals but manager Richard Dimmock admitted conceding so early wasn’t part of his pre-match team talk. As his team celebrated with the impressive trophy, Dimmock said: “It was a fantastic way to end the season, but conceding so early certainly wasn’t in the script. “I said to the boys we had got to be switched on from the start, because anything can happen, and it did. “Grant Brown got us back into it with a great strike, he had a good game on the night. “Another own-goal put us in front but we deserved that because of the pressure we put on since going behind and I could see us getting a third. He added: “Red Velvet came out second half and had a really good go at it, Brima then gave us a bit of breathing space Taylor finished well for Velvet’s second having scored more than 60 goals for the club in a fine season. Dimmock said: “l have watched them a few times this season, and I really rate him. “He is really good player, very strong, every time they got the ball into our box, he was there and always caused us problems. Ambition is a key word at Welling, and Dimmock says it’s great to be given a chance to be in at the start of Chairman Kevin Oakes’ five-year plan aimed at seeing the club progress to Bostik League football. He said: “I didn’t know if it was the job for me at the start, but I met up with Kevin and he answered all my questions about the club and has backed me all the way. “I can’t see why we can’t push on and get there, but it’s not just what we do on the pitch. He added:”For me it’s been a fantastic start in managing the club, and I am not going to complain. “It’s all down to these players, I bought them to the club to do a job, win me leagues and cups. It’s been a brilliant season – everybody has worked so hard . Red Velvet won many plaudits for their performance against Welling Town, but the night also saw them confirmed as Division 3 West runners up behind champions SC Thamesmead Reserves. First team striker Josh Patrick’s hat-trick and two more by Stephen Weatherley, making it 48 for the season for him, saw SCT to a 6-1 win at AFC Bexley in their final game of the season, to clinch the title by three points. Finlay Martin hit the second half winner as Rochester City beat Ashford on Friday night and confirmed as Division 2 Central & East runners-up behind champions Wateringbury. And so to Saturday and the final two games of the season. Fleetdown United made light of an early start for the morning Premier Division trip to Lydd Town Reserves winning 5-0. Joby Smith scored twice, with Matt Dudley, Dan Assender and Dan Pinder getting one each. Deal Sports Reserves made sure of finishing Division 3 Central & East runners-up beating Bromley Green 9-1. The game was ordered to be replayed by the League, following an earlier postponement, ensuring the season’s last outstanding issue was settled on the pitch and not by committee. Two each by Mark Davison, James Lecarpentier and Ryan Prior underpinned the victory. In other news, Borden Village have confirmed Glen Conlon as their new manager. He takes over from joint managers Nick Brown and Aaron Hodges who stepped down at the end of the season. Peckham Town are seeking support for the club’s plans to install floodlights. A statement on the club website said: “We have recently submitted an application to install a modest lights at the Menace Arena, and need our friends to write to Southwark Council. “The plans and associated documentation are our site and Southwark Council portal. The deadline for comments and submissions is Friday, 1st June. Lee Chambers signed off after 25 years with Tonbridge Invicta in the perfect way as they lifted the NRG GYM Les Leckie Cup beating Ashford 4-2 on penalties at Sevenoaks Town FC on Tuesday night. Extra-time failed to provide a winner after a hugely entertaining duel ended 4-4 in 90 minutes, in a competition which has now produced 29 goals in the last five finals. Invicta goalkeeper Sam Jenner proved the shoot-out hero saving twice, before defender Kyle Walker stepped up to score the winner, the ball squeezing under Ashford’s James Atkins into the net, settling a great contest with both teams deserving huge credit. Chambers was delighted with the outcome in his final game after five years in charge of the team, having been with the club since the age of eight. He said: “It was an absolutely roller coaster of a game. “At 4-2 down we could have laid down, but the character in our squad got us back into and we kept fighting till the end. “Sam is good in those situations- people struggle under pressure, he thrives on it. Division 2 Central & East side Invicta led 2-0 inside the opening half hour through Kane Ramsell and James Knight before Ashford netted two in a minute, Josh Jones and Matt Forster levelling things up at the break. They added two more in the second half as Forster (50 mins) and Jones (70 mins) completed doubles to seemingly put them in sight of victory. However Oliver Hogben headed in Invicta’s third following a free-kick with five minutes left, then Jack Moore slid home the fourth in the fifth minute of stoppage time. Chambers said: “Oliver – Andy Carroll as we call him is a centre half, but when we put him up there, he can play off the second ball, gets himself in the right areas, and that’s what he did. Explaining his decision to call it a day he said: “I have been here a long while, and feel I have taken the club as far as I can. “Other people may want to try and keep me after this, but I just feel like I need to try something different, give myself another challenge, but will still be in football next season. As for Ashford and first season boss Ryan Norman it was more disappointment , a second loss in a final in the space of less than a fortnight following the 3-0 Kent Reliance Junior Cup (Group A) defeat by Welling Town. Kennington boss Dan Scorer and his players made sure the club’s end-of-season awards night received the perfect boost. A 3-0 final day win at Stansfeld (O&B) ended a fine season, the club were presented with the Premier Division champions trophy and Scorer received April’s Manager-of the-month award from League Secretary Gavin Hoare. The Ashford villagers who lost their long unbeaten record against Borden Village in midweek, resumed winning ways to finish ahead of second season runners-up Greenways. Harry Goddard scored twice making it nine in starts, while Mark Howells netted a second half penalty, his first first of the campaign. Scorer said. ”What a season – so proud of what we achieved. “The fight, spirit, the commitment had been everything I could have asked for. The Borden win was the final game in charge for the club’s joint-managers Nick Brown and Arron Hodges. Farnborough Old Boys Guild having retained their Premier Division status, finished the season with a 3-1 win over Peckham Town on Tuesday Struggling when Luke Johnson returned to the hot seat in March, they finished well. Johnson tweeted: Great end to an enjoyable end of season…. Two other issues were decided at the weekend. James Whyte scored one and made the other as Wateringbury clinched the Division 2 Central & East title, their third in as many seasons, following their 2-1 win at neighbours West Farleigh on Saturday. Needing a point to be confirmed as champions, Whyte set-up Luke Cowell for the opener just before the hour, but Farleigh proved spirited opponents. Dave Irwin-Smith missed a great chance to level, before Dave Large made it 1-1 a minute later. Parity lasted only seconds though as Whyte hit the second to settle the contest. Rochester City, 3-0 winners at Rusthall Reserves, courtesy of 33-goal top scorer Adam Hill’s latest hat-trick, are runners-up. They complete their season at home against Ashford on Friday night. Ryan Golding’s rapid treble clinched Welling Town’s 4-0 win at Dulwich Village and the Division 2 West title. All the goals came in the final 15 minutes, Golding finally breaking the deadlock. Brima Daramy made it two six minutes before Golding got the others including a stoppage-time penalty. Town pip season-long rivals Sydenham Sports on goal difference. Sports ended with a 3-2 win at Crayford Arrows on Tuesday, Paul Hackshall scoring twice. Billy Holland and Oliver Bell got two each in Sports’ 5-2 win over Metrogas Reserves at the weekend. Marden Minors were confirmed as Veterans Division Champions following a win by the same score over K Sports. Meanwhile Deal Sports Reserves will host the final game of the 2017/2018 season. The fixture against Bromley Green has been re-arranged after being postponed earlier in the season Secretary Gavin Hoare said: “A Deal Sports win will mean they finish second. Lydd Town Reserves host Bexley in the final Premier Division fixture of the season in the morning (10:30am kick off). “One down – two to go” that was Welling Town manager Richard Dimmock’s reaction as he reflected on his first silverware as a manager following the 3-0 Kent Reliance Junior Cup win over Ashford at Maidstone United’s Gallagher Stadium. Brima Daramy’s 65th minute introduction proved a game-changing moment, coming off the bench to score twice, set-up the third for fellow-sub Jon Main, to settle the Group A Final and win the Player-of-the Match award. Dimmock is now eyeing the prospect of a treble, victory at Dulwich Village on Saturday will clinch the Division 2 West title with the NRG Gym ‘Barry Bundock’ West Kent Challenge Shield Final against Red Velvet to come at Sevenoaks next Thursday, 17th May. Dimmock won plenty as a player, but savoured the victory, explaining the Darama switch was a pre-match tactical move that worked. Dimmock said: “My assistant (Mike Jones) and I talked about it the night before. “Brima was a bit unlucky, he had a knock and didn’t play in the week. Welling looked on their way out of the competition when they trailed 2–1 with four minutes left in the semi-final against Sevenoaks Leaguers Ightham, only for the game to be abandoned when skipper Chris Ware sustained a badly broken leg. Welling won the re-arranged tie 3-0 and Dimmock admitted: “We were very lucky to get a replay. “It was a wake-up call for the whole squad – and I told them today to go and win it for him. Premier Division champions Kennington show no signs of coasting, chalking up win number 23 of the season, beating Metrogas 3-1. Runners-up Greenways scored six for the sixth time this season – James Truman and Brad Cross both scoring twice in a 6-2 win in their final game. Bexley need to win their final game of the season at Lydd Town Reserves on Saturday to clinch third spot ahead of Peckham Town. Abraham Opoku netted the winner when the two teams met on Monday, as the South London side followed up their 6-1 win on the Kent coast at the weekend. Luka O’Neill grabbed a hat-trick with Opoku hitting two more. Meanwhile Peckham have pointed out that it was the club’s goalkeeper Shawn Alfred who came to the aid of referee Matthew Grist in the game at Otford United last month. On behalf of the league we thank Shawn for coming to Matt’s aid so quickly. Back-to-back away wins for Otford United have seen them move to seventh. Andy Knight scored twice in the 4-1 win at Borden Village on Saturday, with brother Jamie doing the same as the O’s win 3-1 at Metrogas 48 hours later. Two each by Roy Godden and Josh McCue earned New Romney a 4-2 win at Faversham Strike Force. The win was consolation for Dave Johncock’s side, following their cup defeat against Club Langley. Romney are planning new facilities at Maud Pavilion next season including dressing rooms and a spectators gallery in a new two storey building. Lydd Town Reserves 5-4 home win over Borden Village on Monday was their first in 14 games, and only their second at home this season. Joey Tibble’s hat-trick and two more by Frankie Steer claimed the points, with Sam Brown hitting two for Borden. Two other issues still have to be decided apart from Division 2 West, those being Division 2 Central & East and Division 3 West. Two April Aford Awards Manager-of-the-Month presentations took place on Saturday. League Chairman Cyril Windiate presented the Eastern Section award to Marc Vicary of Deal Town Rangers, his second of the season. Mark Clark of AFC Bexley was the Western Section winner, his first this season. Kane Rice says Kings Hill have reached the Premier Division quicker than planned. The West Malling club’s manager reflected on a very successful first campaign in charge and says it’s not over yet. Rice said” What an enjoyable season so far. “For me it being my first as a manager, has been great, winning the Division and still Maidstone Charity Cup Final at Lordswood to come next week. He added: “The feelings are very positive and I’m happy with the players I have already in the squad for next season. “We will be continuing that and have already started to add to the squad for next season in places to help improve us and also depth will play a massive part in the Premier with more games in a season. “We will have the two under-18 teams taking part in pre-season with us to see if we can progress the young lads into the team and help build their experience and help keep moving forward. Success on the field has been matched by ambition off it. Rice said: “We have completed the first stage of building at our ground and hope to continue this process with a view of becoming a viable team for promotion over the next couple of years in respects of facilities. “It is important not just the first team that we keep progressing and promoting the players in the youth sides and show that being winners is possible with young players being a key part of that. “We are keen to stay in the heart of Kings Hill and build a club that not only incorporates local local players but interests local people. Two more issues were decided at the weekend with Old Bromleians and AEI Sports confirmed as Division 1 West and Division 3 Central & East winners respectively. Adam O’Neill hit his 17th of the season in Broms 2-0 win over Chipstead. He said: “So many different people have played incredible parts and assumed roles and responsibilities in order to create a progressive and enjoyable environment. “My role is just one small part of that. Ellis Hutton got both as long-time leaders AEI Sports were crowned champions with a 2-0 win at AFC Ashford. In the Premier Division Ashley Lee-Wharton’s first half penalty save helped champions elect Kennington clinch their 2-1 win at Peckham Town. Brad Jordan’s opener gave them the lead, before the young keeper from dived low to his left to keep them in front. Joe Fisher got the second before half-time, but Abraham Opoku pulled one back soon after the restart to set-up an interesting second half. Aaron Klemen continued his recent scoring burst with both for Greenways in the 2-1 win at New Romney, their third in a row away from home, and poised to finish runners-up for the second season. Bexley look on course for third spot, despite a first defeat in six matches, 3-1 at Staplehurst Monarchs United with goals by player-manager Luke Wallond, James Jeffrey and Peter West. United have now won six of their last 10 matches in a strong finish to a season, a real contrast to the way it started. George Latham’s hat-trick and two more by Joe Sands earned Borden Village their 5-1 home win over Metrogas. Fleetdown United and Stansfeld (O&B) were the other winners. Nine-man Tudor Sports drew 1-1 at home to Faversham Strike Force. Kennington need only one point from their remaining five games to clinch the Premier Division title following the 2-0 victory at New Romney on Tuesday night. Jordan King and Ryan Smith were the scorers. New Romney meet Club Langley in the NRG Gym ‘Bill Manklow’ Inter-Regional Cup Final at Rochester United FC next Tuesday (7:30pm). James Corne says he left top scorer Tyler Norbert and defender Joe Abbott to decide between themselves who should be credited with Bexley’s goal in the 6-1 Kent Reliance Intermediate Challenge Shield final defeat at the hands of Jersey club St Peter at K Sports on Saturday. Abbott seemed to celebrate scoring the first half opener, but Corne confirmed Norbert was claiming the far post tap-in to score his 16th goal of the season. It proved the highlight of Bexley’s big day before two goals in two minutes soon after the restart triggered a one-sided second half. Bexley manager Corne said: “They were both trying to claim it in the dressing room at half-time. “Tyler said he got the final touch and nicked it of Joe, who is a great centre half and has scored eight this season, most of them headers. Reflecting on the game, Corne added: “We were in it at half-time at 1-1, but went back out and didn’t play to the best of our ability. “We conceded two in 10 minutes, and then crumbled. “St Peter took advantage and the best team won on the day. “It’s a cup final, somebody has to lose but just being here was an achievement in itself for a club like us. “We have performed every season, coming up from Division 2, but have now cemented ourselves in the Premier Division. Premier Division leaders Kennington were again left frustrated as Borden Village called off late, failing to field a side. They were left kicking their heels for the second successive week and third time this season. Abraham Opoku was back among the goals with four as Peckham Town beat Stansfeld (O&B) 5-1. Opoku, the reigning Sharpshooter of the Year, following his 45-goal haul last season made it 15 in 11 games this campaign as his club bid for their second successive top-three finish. Elsewhere at the weekend Simon Walton scored twice as Greenways hit six for the second away game running at Lydd Town Reserves. Lydd are bottom, following Lewisham Athletic’s decision to resign from the league, their record being expunged. Troy Abbey scored twice in Tudor Sports 3-1 win over Otford United. Substitute Owen Redfern hit the only goal of the game as New Romney won 1-0 at Metrogas. 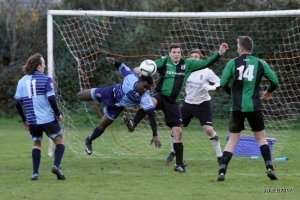 Friend’s equaliser earned FOBG a point in a 1-1 draw at Fleetdown United. Lee Anderson put the home side in front. Ambitious Kings Hill are celebrating after being confirmed Division 1 Central & East champions, following their 4-1 win at Rolvenden. Rochester City stayed on course for Division 2 Central & East honours, 10-1 winners at New Romney Reserves, the fourth time they gave hit double figures this season, Adam Hill hitting four of them. Welling Town won the Division 2 West top-two meeting beating leaders South East Athletic 3-0 on Tuesday night. Ryan Golding, Peter Smith and an own-goal making the difference. Congratulations to Red Velvet, another new name among those involved in the league’s three cup finals next month. Harry Taylor, vying to succeed Opoku as the league’s top scorer this season got both in the 2-1 win over F.C. Elmstead Reserves in the NRG Gym Barry Bundock West Kent Challenge Shield semi-final. They now face holders Welling Town in the final at Sevenoaks Town FC on Thursday 19th May. A cup final and third place in the Premier Division have left manager James Corne and his Bexley players buzzing. Ahead of their appearance in the Kent Reliance sponsored Intermediate Challenge Shield final against Jersey based St Peter at K Sports on Saturday, Corne, twice winner of Aford Awards Manager-of-the-Month awards in September and March, reflected on a very successful season. A 3-1 win over Hawkinge Town earned them their place in the final and Corne admits cup success was high on Bexley’s agenda at the start of the season. He said: “We are really looking forward to the final. “We said at the start of the season we would like to win a bit of silverware this year to help our progression as a team. “The Intermediate Challenge Shield is our best chance at this stage of the season, as the league looks like it’s heading to Kennington. “We were in the same final three years ago, when in Division One West, narrowly losing out to Premier Division champions Metrogas. Fifteen goal Tyler Norbert’s double earned Bexley their 2-1 win at Peckham Town on Saturday extending their unbeaten run to nine games. Corne added: “I have been very happy with our performances and how the boys have shown quality and character in games. “Last season there were games when we would fold and lose, but there is a real buzz around the team now, knowing even when we go one down, we can turn things around. “After a poor display in a 5-0 defeat at Otford in early January, I wanted to go on the best possible run until the end of the season. He added: “We changed grounds this season (playing at Erith Stadium) and have made it a fortress, making it very hard for teams to beat us . “We are still unbeaten in cup and league at home – and just want to keep picking up results. The game kicks off at 3:00pm. 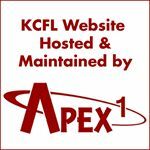 Dave Johncock completed an excellent week clinching his second Aford Awards Manager-of-the Month award. The New Romney boss clinched the prize again on the back of two victories in the NRG Gym Bill Manklow Inter Regional Challenge Cup, including the 1-0 semi-final win at local rivals Lydd Town Reserves eight days earlier. Johncock received his award from chairman Cyril Windiate before the 4-2 home win over Stansfeld (O&B), extending their unbeaten run to seven games. Billy Wier-Somerville was among the scorers, his 12th of the season. Johncock said: “ I am very pleased to win a second award and happy to accept it on behalf of the team and my assistants Deej and Did. They deserve the recognition. “Two excellent away cup wins have given the club a cup final to look forward to and we would love a second consecutive year of silverware. “Club Langley have done really well to get to the final too so should be a good game. We had a slow start to the season – but the squad have really risen to the challenge and the aim now is to finish as high as possible. Top five would be nice! Kennington were left frustrated after another enforced day off with opponents Lewisham Athletic were unable to raise a side. Greenways closed the gap to 12 points, beating Faversham Strike Force 3-1, Brad Cross among the scorers with his 15th if the season. Peter West produced the individual scoring performance with all the goals as in-form Staplehurst Monarchs United won 4-1 at Lydd Town Reserves. West has served the club as man and boy spanning nearly three decades, boasting a impressive goals per games record. Lydd Town Reserves replace Farnborough Old Boys Guild at the bottom following the latter’s 4-2 win at Metrogas. George Perfitt continued his perfect scoring touch with two more, four in the last three games under as a Guild’s improved results under Luke Johnson continued. Lee Friend hit his third in as many matches. Johnson tweeted: “Great result, beating a very good side – off the bottom. Lee Anderson hit Fleetdown United’s winner against Otford United. Hawkinge Town wrote off their own title chances following back-to back defeats last month, only to win 3-2 at rivals Deal Sports. Club record marksman Damien Abel netted his 25th of the season. Former League Sharpshooter Dan Hanshaw grabbed a hat-trick as Cuxton 91 beat Rolvenden 3-0. Hanshaw has also signed for Southern Counties East League Rusthall and scored his first goal for the Tunbridge Wells villagers in the 3-2 win against Rochester United last week. He said: “It’s dual registration, when Cuxton aren’t playing I will play for them, I know one of the joint-managers (Steve Sands) and he mentioned about helping them out when I could. Kane Ramsell scored twice as Tonbridge Invicta secured their place in next month’s NRG Gym Les Leckie Cup Final, with a 3-2 win after- extra-time at Rochester United. Artificial pitches have their fans and critics in equal measure. Traditionalists say nothing beats grass, but as the clamour for more continues, more heavy rain saw them come to the rescue of three matches in Easter Monday’s programme. Bexley switched their Premier Division game against runner-up rivals Greenways to K Sports winning 2-1 with Owen Griffiths getting both goals, Josh Taylor replying. Halstead United moved their Division 1 West fixture to Charles Darwin School at nearby Biggin Hill, Lewis Longhurst scoring twice in a 3-0 win over Old Roan, while Club Langley edged home 5-4 against Welling Park in a game played on 4G at Coldharbour Leisure Centre in Greenwich. Park officials thanked the League for granting them permission to switch venues due to a backlog of home fixtures, coming out on the wrong side against Langley, 48 hours after an 8-4 win over AFC Mottingham, in a match staged on another 4G pitch at Samuel Montagu in Kidbrooke. Danny Higgins was one of two hat-trick scorers in the game, making him the club’s all-time leading scorer – with 109 goals in his six-years with the club. Dane Keenan was the other, and the pair also featured among the scorers on Monday. Park led 1-0, then trailed 4-1, before levelling things up, conceding the fifth from a free-kick awarded after Chris Dunphy’s red card. Two goal Kyle Matheson topped Langley’s scoresheet. Matheson was also on target as the Beckenham based club confirmed their first appearance in the NRG Gym Bill Manklow Inter-Regional Challenge Cup Final with a 2-0 home win against Premier Division Borden Village on Saturday. They meet New Romney, 1-0 winners at Lydd Town Reserves in the other semi, Wayne Rogers hitting the winner. Elsewhere in the Premier Division, leaders Kennington followed up a six-point Easter with the announcement they have secured a new home at Bostik South neighbours Ashford United next season. A club statement said: “We are absolutely delighted to announce that we have agreed a two-year groundshare and will play all our home games at Homelands Stadium next season. Good news off and on the pitch following Monday’s come from behind win at Borden Village, and the 3-0 win at Otford United two days earlier. George Latham put Borden in front two minutes before half-time, holding the advantage until 15 minutes from the end when Ross Lawrie and Tom Scorer netted twice in five minutes to claim Kennington’s 14th successive win. An own-goal put the visitors ahead at Otford before Scorer and Sam Conlon added the other two. Greenways will play their remaining four home games at K Sports, The first “switch” ended in a 4-2 win over Peckham Town on Saturday, while Bexley’s win there on Monday means the second and third placed clubs are separated only by goal difference. Greenways face Faversham Strike Force at Cobdown on Saturday, before embarking on a seven-match away sequence, finishing with three more “home” games early next month. Bexley are another side on the move, hosting midweek matches at the STC Sports Ground at New Eltham. They will be back at K Sports on Saturday week to meet Jersey club St Peter in the Kent Reliance sponsored Intermediate Challenge Shield Final. James Corne’s side, enjoying a good season, were held to a 2-2 draw at bottom side Farnborough Old Boys Guild on Saturday. Sam Fullilove and Will Edwards netted for Bexley, now unbeaten in seven games, with Lee Friend and George Perfitt on target for Guild, a fourth point out of six, since Luke Johnson took charge. Player-Manager Luke Wallond scored both as Staplehurst Monarchs United won 2-0 at Lewisham Athletic. The win helped Monarchs climb to a season’s best eighth spot, only Kennington and Bexley have better records in the last six games. K Sports Reserves moved second in Division 1 Central & East, Lee Armstrong scoring twice in a 2-1 win over third place Deal Sports. Gareth Jones marked his first appearance of the season with a hat-trick as Division 1 West leaders Old Bromleians beat Orpington 6-0. Alex Babe was the latest of the club’s youngsters to make his senior debut. Ashford have reached their second final with a 2-1 win at Wateringbury in the NRG Gym Les Leckie Cup, Stephen Cowell and Josh Jones on target. They now meet either Rochester City or Tonbridge Invicta who meet this weekend. Invicta won 3-0 at Lordswood Reserves on Tuesday night with goals by Kyle Walker, Kane Ramsell and Connor Morrow. Adam Hill made it 23 for the season as Rochester City won 3-1 at Snodland Town Reserves on the day Joint Managers Aaron McCall and Lee Whalin received the Aford Awards Eastern Section Manager of the Month award for February. Welling Town are also through to their second final, 8-1 winners over Johnson & Phillips in their NRG Gym Barry Bundock West Kent Challenge Cup semi-final. Brima Daramy’s hat-trick and Ryan Golding’s double led the scoring. The pair both scored hat-tricks as Town moved second in the Division 2 West table after a 9-0 win over Metrogas Reserves on Wednesday night. Ryan Golding (5), Brima Daramy (3) and with Randy Rowe hitting the other, his first for the club. FC Elmstead Reserves or Red Velvet meet in the other last four tie on Saturday week. Aylesford shared 10 goals at home to Bromley Green in the only Division 3 Central & East game on Monday. Liam Budgen claimed a hat-trick for the hosts in a swift reunion, having scored twice when the sides met just over a week earlier, Green running out 5-3 winners. Matt Wedge, Lewis Bagshaw, Jordan Griffin, Levi Loyza, and Conor Gower netted in the latest meeting. The Higgs household would have been a good place to be at the weekend. Danny scored the winning penalty to beat Farnborough Old Boys Guild and earn Club Langley a place in the semi-finals of the NRG Gym Bill Manklow Inter Regional Cup, while nearly 300 miles away in Gateshead, brother Jordan was celebrating with his Bromley team-mates after reaching the Buildbase FA Trophy final at Wembley following a 4-3 aggregate win. The tie at Farrows Field ended 0-0 after-extra-time, setting-up an eventful shoot-out, Higgs settling it 4-3 in Langley’s favour. Goalkeeper Leigh Hawkes played his part as well, saving twice, but missing his own attempt. Club Langley now host Borden Village, 1-0 winners at Halstead United this weekend, while New Romney, 3-0 winners at Lewisham Athletic, make the short trip to South Kent rivals Lydd Town Reserves. Tyla Clements hit Borden’s first half winner in their first game for a month, while Liam Gear, Roy Godden and Jack Moran netted for Romney. Chris Ells, Jake Fairweather and Kyle Walker netted as Tonbridge Invicta beat CC Sport 3-0 to reach the semi-finals of the NRG Gym Les Leckie Cup. They were due to visit Rochester City on Tuesday night, but the game was called off due to a waterlogged pitch. Wateringbury meet Ashford in the other tie on Saturday. Ashford will meet Welling Town in the Kent Reliance Junior Cup (Group A) Final at Maidstone United’s Gallagher Stadium on 5th May. Goalkeeper James Atkins saved three spot-kicks in another shoot-out, Ashford winning 3-1 to beat Sporting Club Thamesmead Reserves. The teams drew 4-4 after-extra-time, having been level at 3-3 after 90 minutes. Thamesmead led 2-0 after 25 minutes through league top scorer Stephen Weatherley and Danny Stokley. Jamie Hurst pulled one back by half-time with a 30-yard free-kick. Richard Floyd and Matt Forster then made it 3-2 before the former was sent off. SCT defender Darren Penfold headed home their third with four minutes left of normal time. The visitors then went 4-3 up with Ryan Leader’s penalty two minutes into extra-time, and led until three minutes from the end when Steve Cowell’s near post finish made it 4-4 to set-up the extra half hour. Welling Town beat Ightham 3-0 in their re-arranged tie. The game was called off four minutes from the end of extra-time a fortnight earlier with the Sevenoaks League outfit leading 2-1, when Town skipper Chris Ware suffered a double break of his left leg. Ryan Golding scored twice, with Peter Smith getting the other. Six Premier Division games produced 33 goals Faversham Strike Force edged through 5-4 at fellow strugglers Lydd Town Reserves with Kane Taylor completing his hat-trick, scoring the 96th minute winner. Tom Morgans and sub John Williams hit two apiece for Lydd who must have thought they had earned a point, having made it 4-4 three minutes earlier. Staplehurst Monarchs United came from 2-0 down to earn a point in a 3-3 draw at Metrogas. Ed Rossetti and Dan Ashton put them level before James Jeffrey made it 3-2, before the home side got their third. Mitchell Hill, Conor McCormack and Steve Turner were the Gas scorers. No stopping leaders Kennington though, despite a month since their last game, due to the weather and League Rep XI calls. An own-goal, Jordan King and top scorer Carlum McLeod put them 3-0 up at half-time before Ali Griggs, capped his first game for five months with the fourth. That’s 70 for the season – goal difference of plus 50 – a 12 point lead – and still 11 matches left. The chasing trio, Greenways, Bexley and Peckham Town still have a total of 28 games to play between now and 12th May, with fourth placed Tudor Sports yet to visit all three in the final month of the season. Recent signing Luke Adams scored his first goal for Greenways, also back in action for the first time in a month, as they won 5-1 at Fleetdown United. Rep XI pair James Trueman and Ryan Perkin were also among the scorers with player-manager Rob Jeffrey and Brad Cross adding the others. Owen Griffiths and Will Edwards earned Bexley their fifth successive win, 2-1 at home to Otford United. Abraham Opoku’s hat-trick clinched Peckham Town’s 3-2 win at Tudor Sports. Sam Potter scored twice as K Sports Reserves sealed a fourth successive win in Division 1 Central & East, 3-2 at Hawkinge Town, seemingly ending the home side’s title hopes. Halls Athletic hailed their 2-0 win at Chipstead one of their best performances of the season in Division 1 West, going second in the table, with goals by Vincenzo Mazzone and Steve Vanstone. Adam Hill hit his 22nd of the season as Rochester City won 4-2 at Lordswood to keep them in the Division 2 Central & East promotion picture. South East Athletic stay top of Division 2 West, Eden Cummings scoring the winner to beat Dulwich Village. Lee Hedges received his second Aford Awards Manager-of the-Month award of the season before watching his side win 10-3 at Parkwood Rangers, and stay on course for the Division 3 West title. 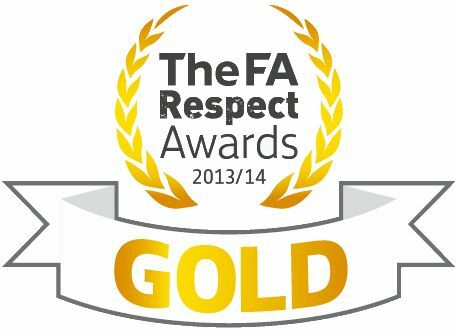 He said: “Two awards means a lot, not only to me, but to everyone involved with the club. The team has been together coming up to four years now and we have seen them play some great football. Harry Taylor hit half of Velvet’s tally to take him to 33 for the season as he and Weatherley continue their battle for the Sharpshooter of the Year award. Lydd Town Reserves have saved their best results for their NRG Gym ‘Bill Manklow’ Inter-Regional Challenge Cup campaign this season. The 5-1 win over Metrogas at The Lindsey Field on Saturday clinched them the first semi-final spot, a third win in the competition, taking their goal tally to 18. Frankie Steer also continued his liking for the competition, netting twice, taking his tally to six. Joey Tibble added two more, following his double in the 4-2 win over Old Roan in the previous round. Lydd now meet either Lewisham Athletic or local rivals New Romney. Lydd sit second from bottom in the Premier Division table, but eight of their remaining nine matches are all at home. The game was one of only seven involving member clubs to beat the latest bout of wintry weather which returned to wipe out the rest. Top scorer Steve Whitehead was among the scorers as West Farleigh won 3-1 at Rusthall Reserves in the only Division 2 Central & East fixture. Matthew Faithorn scored twice in F.C. Elmstead Reserves’ 4-1 Division 2 West win at Fleetdown United Reserves. Matt Goldsmith hit two as Tenterden Town beat AFC Ashford 3-1 in Division 3 Central & East. Leading marksman Alan Ajani also netted twice as Welling Town Reserves beat AFC Lewisham 7-1, their fourth successive Division 3 West win, following their 6-2 home success against Farnborough OBG the previous week. Welling Town have set-up a Just Giving Page to support injured club captain Chris Ware. The defender suffered a double broken left leg four minutes from the end of extra-time in the Kent Junior Cup (Group A) tie against Ightham at Bayliss Avenue on Saturday. The Sevenoaks League side led 2-1 at the time against nine-man Town when the match was abandoned by referee Myles Hewson, with Ware being treated on the pitch by two paramedics and another ambulance crew, before being taken to hospital. In a message on the club website, chairman Kevin Oakes said: “We would like your support for Chris. “If you have ever played for or against Welling Town, or officiated in or watched one of our games, I am sure Chris will be familiar to you. A leader on the pitch, and a thoroughly decent guy off it. “Married to Kirsty just two weeks ago, Chris has been captain ever since it was formed, helping us to promotion, and a cup win last season, and an unbeaten season to date in 2017-18. “Chris was kept in hospital overnight and had an operation to insert a pin on Sunday. Ware tweeted: “Thanks for all the best wishes so far. Been a great response from everyone. “Things are looking up – just in a lot of pain. The tie will be replayed on Saturday, 24th March. Ashford FC meet Sporting Club Thamesmead Reserves in the others semi-final which was postponed at the weekend. The final will be played at the Gallagher Stadium (kick off 5:00pm) on Saturday , 5th May. Meanwhile in League action, Premier Division top-two, Kennington and Greenways were both denied by waterlogged pitches which cause several postponements. Bexley moved third on goal difference above Tudor Sports, following a 3-1 home win over Faversham Strike Force, on the day James Corne received his second Aford Awards Manager of the Month award this season. Winner in September, Corne was successful again – with the award presented by League Chairman Cyril Windiate. The two other divisional awards will be presented later. Tyler Norbert was again among the scorers, his 13th of the season. Tudor drew 1-1 against New Romney, Joe Minter put them in front, before Wayne Rogers earned the visitors a point. Three goals in the final 18 minutes earned Peckham Town a point in a 3-3 draw against Stansfeld (Oxford & Bermondsey). Kevin Dance’s 89th minute equaliser completed the comeback in a match switched to the adjoining pitch at St James Mar Thoma Community Sports Ground due to drainage problems at Metrogas’ main ground next door. Tobi Ijaola got the second after League Sharpshooter of the Year winner Abraham Opoku pulled one back. Peckham almost got a winner in the dying minutes, only to be denied by a fine save from the home keeper to ensure things stayed level. Nathan Flaher’s first of the season, Jake Biggs and George Martin netted for Stansfeld. Staplehurst Monarchs United claimed a fourth successive home win, beating Fleetdown United 2-1 to claim a season high 10th place in the Premier Division table. Nathan Laker and James Jefferies were the scorers for Luke Walllond’s side. Jefferies also plays for Margate Under-23’s, helping them to win their Development League title already this season. Monarchs say a terrible start to the season led to a squad overhaul, and are now looking to finish the season strongly. Luke Johnson made a winning start, back in charge of Farnborough OBG with a 3-1 home victory over Lydd Town Reserves, goals by Lee Friend, Alex Grantham and George Perfitt. Defeats for two of the top-three in Division 1 Central & East. Leaders Kings Hill went down 2-1 at K Sports Reserves, Lee Armstrong and Daniel Taylor the scorers. Third placed Hawkinge Town led twice with goals by Damian Abel and John Smith at Cuxton 91 but went down 3-2. Adam Overton scored twice, before Joel Melville grabbed the winner with a near post header. Cuxton included Under-18 youngster Tom Parsons for his senior debut. Halls Athletic’s 0-0 Division 1 West draw at Club Langley was all about twin brothers Joe and Oliver Hyde. Oliver conceded a penalty only for goalkeeper Joe to save it on his way to a clean-sheet in the game between the third and fourth placed clubs. Dion Orris hit four as Burgess Hodgson won 6-1 at Tonbridge Invicta in Division 2 Central & East. Perry Cray took his tally for the season to 20, scoring twice as CC Sport came from 3-1 down to win 4-3 at Snodland Town Reserves to earn a place in the semi-finals of the NRG Gym Les Leckie Cup, and a trip to Rochester City. An 11th successive win for Kennington and defeats for two of their main rivals, Greenways and Peckham Town, leaves the Ashford villagers in an even stronger position to lift the Premier Division title for the first time. Sam Conlon’s winner helped Kennington claim the points against bottom side Farnborough OBG and establish a 12-point lead over the rest. However the club won’t be seeking promotion at the end of the season and chairman Jon Lancaster has been explaining the reasons why – (see separate story). Greenways lost ground following a surprise 2-1 defeat at Faversham Strike Force. Miguel Rothe scored on his debut, with Tom Axford hitting the other, while Rick Akers hit both for Fleetdown as they upset Peckham Town by the same score. Tudor Sports are third, following their 5-1 win at Metrogas’ Danny Smythe scored twice while top scorer Ross Morley continued his goal-a-game sequence with his 21st of the season. The club tweeted: “Important win for the boys, very even first half but ran out comfortable winners in the end. Owen Griffiths got both as Bexley notched their fourth successive win, 2-0 at home against Lydd Town Reserves. Liam Baxendale earned Borden Village a 1-1 draw against Stansfeld (Oxford & Bermondsey) in their first game from three weeks. Luke Wallond scored for the second successive game as Staplehurst Monarchs recorded a third successive home win – 4-1 over Otford United. Kings Hill and Old Bromleians – the respective leaders in Division 1 both won 2-1 away from home. The chase for the Central & East title is proving a tight affair, Kings Hill making it seven out of seven away from home at Cuxton 91, with both Simon Austin and Danny Melvin on target. Adam O’Neill netted his fifth goal in three games and 16th goal of the season in Bromleians’ 14th win of the campaign. Plenty of goals elsewhere – Matt Bunn’s hat-trick and two-goal Callum Heath setting up Ide Hill’s 8-2 win at Stansfeld (Oxford & Bermondsey) Reserves. Jack Highwood scored twice as second placed Chipstead stretched their unbeaten record to 12 games, beating AFC Mottingham 5-1. Club Langley are third, going one better as Richard Aidoo and Akin Lawal got two each in the 6-1 win at Orpington. Adam Fahy’s winner earned Welling Park victory over Halls in their first home league game since 2nd December. Division 2 Central & East leaders Wateringbury and Ashford meet in the semi-finals of the NRG GYM sponsored Les Leckie Cup. Danny Rowe’s hat-trick, taking his tally to 26, topped the scoring in Wateringbury’s 8-1 win at Tenterden Town. Ashford remain on course to feature in two cup finals after Richard Floyd’s second double in successive weeks beat local rivals AFC Ashford Athletic 2-0. The tie will be played on March 17, a fourth meeting between the clubs this season. Ryan Norman’s men are due to host Sporting Club Thamesmead in the Kent Junior Cup Group A semi-finals this weekend, but the wintry weather is set to delay the tie and the other between Welling Town and Sevenoaks League Ightham. Form team South East Athletic top Division 2 West after a fifth win in six games, 2-0 at home to Crayford Arrows with goals by Barry Ryan, his 14th of the season and Darren Wynne. Kalem Summers scored twice as Division 3 Central & East leaders AEI Sports won 3-1 at Woodnesborough. Greg May made his 100th appearance for Division 3 West leaders Drummond Athletic in their 3-2 win over AFC Bexley. Antony Russo, Chris Plummer and Alex Jenkins were the scorers in the win, despite playing the last half hour with 10-men. 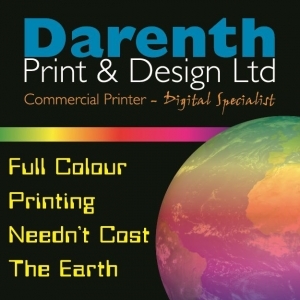 Dale Davis proved the unlikely hero as the Kent County League reached the semi-finals of the FA Inter League Cup for the first time with a 4-3 penalty shoot-out win over the Essex & Suffolk Border League at Brantham on Saturday. The Kennington midfielder took over between the posts with 25 minutes to play after Otford United’s No.1 Justin Lee was sent off for handling outside the area, and saved two spot-kicks as Kent clinched a last-four spot and a trip to face the York League next month. Not a bad way to celebrate your Rep XI debut as they came from behind to win for the third time this season, following victories in Dorset and Jersey. Davis said: “I kept goal when I was a kid but have never played there in a match. “I was always quite good at saving penalties, but it wasn’t what I expected to be doing. “The first one went to my right and I pushed it away, and the second one went right in the corner on the same side. “Justin was a little bit unlucky to be fair and there wasn’t much more he could have done, but it was a game that had everything. Scorer also reckons he has discovered a perfect replacement keeper, if Kennington need one in the future. The York League beat Staffordshire County League 4-0. The Amateur Football Combination host the North Riding League in the other semi-final, both due to be played by 24th March. Rep call-ups mean’t several Premier Division games were postponed. Michael Zanelli scored twice as Stansfeld (Oxford & Bermondsey) won 3-2 at Lydd Town Reserves. Tyler Norbert hit two for the second successive weekend as Kent Reliance Intermediate Challenge Shield finalists Bexley won 3-1 at Metrogas. Josh McCue’s winner earned New Romney the points at home to Fleetdown. Three clubs fly the County League flag in the last four of the Kent Reliance Junior Cup (Group A) competition on Saturday week. Ashford celebrated a much delayed first game at their new home, Pound Leas Sports Field in Hamstreet, with a 4-2 penalty shoot-out win over Rochester League side Gillingham Town. Richard Floyd scored both Ashford goals, as Ryan Norman’s men conceded a second in extra-time to set-up penalties, goalkeeper James Atkins scoring one and saving two to clinch a home semi-final against Sporting Club Thamesmead Reserves. Welling Town are at home to Sevenoaks League Ightham in the other. Farnborough Old Boys Guild completed the quarter-final line-up in the NRG Gym Bill Manklow Inter-Regional Challenge Cup, with a 4-2 extra-time win at Division 1 West side Welling Park. Park, playing their first game for more than a month, led 2-0 through Adam Fahy’s double, before Guild pulled level at the end of 90 minutes, going onto score twice into extra-time. Lamar Myers, Taylor Bowley, Ray Knight and Steve McQueen were the scorers. Holders Welling Town reached the semi-finals of the NRG Gym Barry Bundock West Kent Challenge Shield, beating Sporting Club Thamesmead 4-2 on Friday night in a tie featuring three penalties. Lemarl Hubbard converted one for Town, with Ryan Leaver and League top scorer Stephen Weatherly on target for SCT in a tie watched by more than 200. Aylesford chairman James Fuller is vowing to keep the club in the league despite disappointing results. Speaking in the wake of the club’s 17-0 hammering at AEI Sports, after three players left the ground at half-time, he said: “As a club and committee we are desperate to get things right. “I know after taking the team from the Maidstone & District League into the KCL, it was the right decision and where I still believe the club should be with the excellent facilities and people we are lucky to have. “I feel first team manager Kevin Bevis is the right guy to move the team forwards, he is great with lots of passion & dedication. “We will continue to review the team’s situation over the next few weeks, the current goal is to finish the season stronger than we have started and then build on that into next season. Sean McHugh of Faversham Town Reserves is this week’s Video Goal of the Week scorer captured by Chris King. An impressive right foot top corner finish is still rising as it hits the net during the 5-2 Div 3 Central & East win over Deal Sports Reserves at Sharsted Sports Club, It had attracted over 1200 views by earlier this week, although one of his team-mates does seem to suffer a blow in the face during the build-up, missing the moment as McHugh runs away to celebrate. 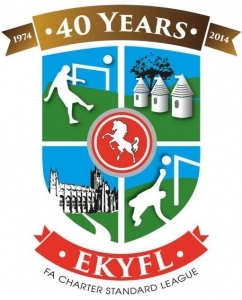 League Chairman Cyril Windiate has praised Division 3 Central & East strugglers Aylesford for refusing to the throw in the towel, despite finishing on the wrong end of a 17-0 mauling by leaders AEI Sports at on Saturday. The Maidstone villagers, 4-0 down at half-time, were forced to play the second half at Crockenhill with nine men, on the way to conceding double figures for the second time this season, having lost the reverse fixture 13-1 in October. Mr Windiate was there to present the Aford Awards Eastern Section Manager of the Month award to AEI joint-bosses Peter Stanton and Michael Betts, their second award in successive months. He said: “I arrived at the ground around 15 minutes before the final whistle and was told the score was 12-0. “Following the presentation I went into the Aylesford dressing room and was told three players had left the ground at half time. “My sole reason on doing so was to congratulate them on doing their best in really difficult circumstances against the leaders, but were still trying right up until the final whistle”. “While I was there, Peter and Michael also came in and told the Aylesford lads they really appreciated the nine players sticking to their task, and respected their efforts, adding that a jug of beer was waiting for them in the clubhouse. Seven-goal Daryl Herbert-Street and Ellis Hutton who hit five were the chief benefactors of Aylesford’s plight, taking their joint goal tally for the season to 45. Meanwhile Aylesford have already started their search for new blood with an appeal for players as they look to rebuild the squad in preparation for the 2018-19 season. 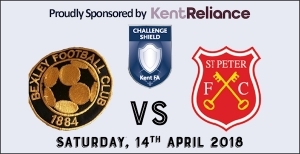 Bexley will be looking forward to their big day when they go head-to-head against Jersey club St. Peter in the Kent Reliance sponsored Intermediate Challenge Shield Final In April. Tyler Norbert scored twice in the 3-1 home win over Division 1 Central & East title contenders Hawkinge Town although events conspired against the visitors. They lost goalkeeper Ben Humphrey in the first half with a serious foot injury, and then midfielder James Gibson was sent off with 20 minutes left. Norbert got his second almost immediately afterwards, before club record goalscorer Damian Abel pulled one back from the penalty spot. Experienced midfielder Jimmy Rogers added the third late on – taking Bexley’s total in the in the competition to 14 goals. The venue for the the final on Saturday, 14th April still has to be confirmed. Kennington’s 5-1 win at Greenways looks to be a real statement of their intent to win the Premier Division title. Tom Scorer scored twice either side of half-time, with Carlum McLeod’s 22nd goal of the season, substitute Adam Phillips and an own goal completing the tally – opening up a nine-point lead over their Gravesend rivals who do have two games in hand. Tudor Sports joint-bosses Ross Baker and Danny Joy are the Aford Awards Premier Division Managers of-the-Month. Joy received the award before the 2-1 defeat at Staplehurst Monarchs United, with Baker away at the weekend as Sports lost ground on the top-two. Ross Morley’s 20th goal of the season was cancelled out by Monarchs pair Luke Wallond and Nathan Bertrand. Aston Quinn and Kyal Hunter both scored twice as Fleetdown United beat 10-man Lewisham Athletic 4-3. Alex Barnes has taken temporary charge of Farnborough Old Boys Guild, following the departure of Byron Beard. He played in the 0-0 draw at home to Faversham Strike Force. Simon Austin and Jack Mayhew netted for Kings Hill as they claimed top spot in Division 1 Central & East with a 2-0 win at Guru Nanak. They lead on goal difference over Deal Sports after Riley Alford’s double took him to 24 for the season as Sports ran out 6-0 winners at home to K Sports Reserves. Chipstead’s Division 1 West home game against local rivals Ide Hill was called off following the theft of the club’s tractor last week, meaning no pitch preparation was possible. Friday night football this week sees Welling Town face Sporting Club Thamesmead Reserves in the NRG Gym Barry Bundock West Kent Shield quarter-finals. The following day the KCL Rep XI face the Essex & Suffolk Border League in the quarter-finals of the FA Inter-League Cup. The tie takes place at Brantham Athletic FC 3:00pm). The winners will be away to either York Football League or Staffordshire County League next month. Harry Goddard proved Kennington’s match -winner scoring the stoppage-time decider as the Premier Division leaders claimed a smash and grab 2-1 victory over Staplehurst Monarchs United on Saturday. The victory moved the Ashford villagers six points clear of Greenways, who they visit this weekend in a change of fixture. Carlum McLeod fired them in front with his 21st goal of the season, after only two minutes, a lead they held for the next 78 minutes, before Monarchs levelled through Dan Ashton. Goddard started on the bench after a lengthy spell on the sidelines due to injury, but fully justified his 85th minute introduction as Kennington made it nine straight wins, leaving the boss delighted with the outcome. He tweeted: “What a day – moments like today are the reason I love this group of lads! Tudor Sports missed out on a chance to move closer to Greenways, losing 3-2 at home to Lewisham Athletic, who completed a league double over their Sidcup rivals. Ben Joselyn, Arran Miller, and Denzil Rolfe netted, to set-up a third away win of the season. Tudor top scorer Ross Morley hit his 19th goal in 18 starts, with sub Tom Bradshaw also on target. Otford United’s Kent Rep XI skipper Jamie Knight scored one of the goals of the day in the 4-1 home win over Fleetdown United. He fired home from the edge of the box with an unstoppable left foot strike, caught on video and topping the 1,000 view mark earlier this week. Luke Blackaby hit two more with Knight’s county team-mate Sam Truman, adding the other. O’s have now won four of their last five games, all at home, spanning two months. Ali Adam had an eventful afternoon as Faversham Strike Force beat neighbours Borden Village 4-2. A hat-trick earned him the Man-of-the Match award, but two bookings mean’t an early departure from the Sittingbourne derby. Another Kent Rep man, George Latham got both for Borden. Honours ended even in the other derby as Lydd Town drew 1-1 against New Romney. Joey Tibble and Billy Weir-Somerville netted for the respective sides. Jersey club St Peter’s inclusion in the Kent Reliance Intermediate Challenge Shield this season has added more than a little interest in the county competition this season. And they will return to the county again in April to meet either Bexley or Hawkinge Town in the final, following their 4-2 win over Greenways, in a tie hosted by holders Punjab United. James Trueman was another County Rep squad man on target with Harry Gann getting the other. Metrogas head to Lydd Town Reserves on Saturday in their NRG Gym Bill Manklow Inter-Regional Challenge Cup quarter-final. Boss Mark Warner praised “a good dominant performance “ for their 3-1 win over Division 1 Central & East promotion chasers Deal Sports with goals by Dan Jeffrey, Joe Plant and Toyeeb Babatunde. Riley Alford netted for Deal, his 22nd goal of the season to put them in front at half-time. Damian Abel’s hat-trick and two each by Toby Heydon and John Smith set-up Hawkinge Town’s 7-0 win at Herne Bay Reserves, as they went top of Division 1 Central & East. Paul Booth hit another of the day’s hat-tricks as Kings Hill drew 3-3 at home to Cuxton 91. Adam 0’Neill’s treble clinched Old Bromleians’ 3-2 win over Halstead United to move 12 points clear at the top of Division 1 West. It was the perfect start to the tribute day for John Cooper celebrating his 70-year involvement with the club. O’Neill hit the 85th minute winner to end United’s 12-match unbeaten run having earlier converted two penalties. Lewis Longhurst and skipper Danny Pledge netted for Halstead. Broms Manager Danny Wakeling who received the Aford Awards Western Section Manager of the Month award for January from League Secretary Gavin Hoare before the game, said: “Despite the close scoreline and the relatively late winner, (a stunning strike by Adam who is an exceptional player), hand on heart, I felt the winner was always coming from our lads. “We weren’t ever at a stage where we overly panicked either and I mean that with the utmost respect to Halstead. “They’re a good side but I could just feel that our lads wouldn’t give in and would find a way to three points. “They’ve been remarkably consistent for so long now , but this year they have a better collective confidence built upon winning last seasons Div 2 West title. “We now have lads in the club who know full well what it takes to win on a regular basis and they know the path that they’re on at the moment as they have last season in the memory bank for themselves. “We have weekly processes which the players adhere to, believe in , absorb and apply. “We’ve plenty of players in the club pushing claims for first XI football so all players are on their toes. Danny Rowe hit five for leaders Wateringbury’s 6-2 home Division 2 Central & East win over Snodland Town Reserves, hoisting him into the league’s top-five leading scorers. Welling Town are the the first team through to the last four of the Kent Reliance Junior Cup (Group A) following their 2-1 win over Division 2 West promotion rivals Sydenham Sports. Old Bromleians made sure John Cooper’s Tribute Day proved the perfect celebration on Saturday. County League Chairman Cyril Windiate, there together with Secretary Gavin Hoare, performed the ceremony, officially re-naming the Lower Gravel Road ground in honour of his 70 years serving the club. Mr Windiate added: “I am honoured and delighted to say a few words on behalf of the League. “I congratulate John – he and I go back quite a few years – on so willingly giving so much time to the club, which amounts to thousands of hours. More speeches and tributes followed in the clubhouse afterwards, during which John was presented with his own new club shirt with “Coops” on the back. First team manager Danny Wakeling whose idea the tribute was, added: “It was a thoroughly enjoyable day overall. “First and foremost, it was totally John’s day and was very well supported too. 2018 has been stop-start so far for Premier Division leaders Kennington, but they still keep winning. The weather put paid to the top-two clash against Greenways, while Rep squad call-ups saw the game at Faversham Strike Force called off a fortnight ago, although all three Kennington players selected didn’t feature in the final-16 for the postponed quarter-final tie against the Essex & Suffolk Border League at Coggeshall. A morning pitch inspection passed Sandyacres fit to host Fleetdown United at the weekend, all the goals in the 3-0 win coming in the final 30 minutes, 19-goal Carlum McCleod netting on the hour and two penalties by Joe Fisher (75 and 90 minutes), confirmed the result, making it seven-out-of-seven at home. Greenways have been kicking their heels for even longer, the 2-0 win over bottom club Farnborough Old Boys Guild their first action since 9th December. James Trueman and Simon Walton were the scorers, maintaining their unbeaten record. Greenways host Jersey side St Peter in the semi-finals of the Kent Reliance sponsored Intermediate Challenge Shield on Saturday. The Channel Islanders have won at Otford United, Farnborough and AFC Mottingham on their travels so far. Bexley meet Hawkinge Town in the other semi-final the following week, with the final scheduled for 14th April. Two late Tom Axford penalties earned Faversham Strike Force a point in a 2-2 draw against third placed Tudor Sports at Sittingbourne. The visitors led 2-0 going into the last five minutes through Ross Morley’s 18th of the season and Troy Abbey. Peckham Town are another side enduring a lack of action, playing only once in more than a month before the long trip to New Romney. Billy Weir-Somerville came off the bench to net the home side’s winner, their first home league maximum since 21st October. Rory Catt’s eighth goal of the season earned Otford United’s 1-0 win against Stansfeld (Oxford & Bermondsey). Away from the league, Frankie Steer and Joey Tibble both scored twice as Lydd Town Reserves beat Old Roan 4-2 to reach the quarter-finals of the NRG Gym Bill Manklow Inter-Regional Challenge Cup. They now host either Metrogas or Deal Sports. Lewisham Athletic moved a step closer to another cup final appearance, John James, Ben Joselyn and sub Simon Read on target in the 3-2 win at Cuxton 91. They meet either New Romney or Kings Hill in the last eight. Kane Rice’s hat-trick helped the West Malling outfit claim the points in the top-two Division 1 Central & East contest, winning 4-2 at leaders Deal Sports ending their unbeaten home record. Damien Abel got Hawkinge Town’s winner at Rolvenden, the visitors finishing with nine-men. Old Bromleians completed a 100% record in January, Lewis Gregory and sub Nick Craft both scoring twice as the Division 1 West leaders beat Stansfeld (Oxford & Bermondsey) Reserves 5-0. It’s a big day for the club on Saturday when Broms pay tribute to long-serving stalwart John Cooper. The Scrubs Lane venue will be officially renamed “The John Cooper Ground” in honour of the man who has done so much for the club (and still does) since 1948. The game against Halstead United kicks off early at 1.30pm, with the official ceremony taking place immediately afterwards. Dale Taylor and skipper Lewis Longhurst hit two each as Halstead United beat Club Langley 6-1 to stretch their unbeaten run to 12 matches in all competitions. Danny Rowe notched his 17th of the season as Division 2 Central & East leaders Wateringbury won 4-1 at Larkfield & New Hythe Wanderers. Brima Daramy was another goal scoring substitute with two in Welling Town’s 4-0 Division 2 West success over Belvedere. Top scorer Ellis Hutton made it 19 for the season as Division 3 Central & East leaders AEI Sports won 3-1 at Staplehurst Monarchs United Reserves. Two-goal Harry Taylor helped Red Velvet upset Division 3 West leaders Drummond Athletic 5-2. Tudor Sports sit third in the Premier Division for the first time ever and joint-bosses Ross Baker and Danny Joy are delighted. The 3-1 win over in-form Stansfeld (Oxford & Bermondsey) was one of only 11 games to survive the Saturday morning rain, as the weather proved a big winner. “Matches are going down like ninepins” reported chairman Cyril Windiate after a hectic morning, after the Kent Rep team’s FA Inter League quarter-final trip to Essex was called off due to a waterlogged pitch at Coggeshall, Tudor’s game at Oxford Road was one of only two to survive in the top flight’s already reduced programme, and they took full advantage. The club tweeted: “Wow that was like watching a game from 30 years ago. A mudbath, no football played, but buzzing to come away with three points to move us into third place in the league. Baker said: “It’s only what’s been expected from the start of the season. Myself and Danny Joy were brought into the club to get us in the hunt for promotion. He added: “It was a good game in poor conditions. We started very brightly and should have been a goal or two up within the first 10 minutes. “We became frustrated due to missed chances and found ourselves behind. “Going a goal down, (scored by Stansfeld’s Lucas Hart), we drew level 10 minutes before half time with a good finish from Nick Crowe. “We then went 2-1 up 10 minutes into the second half through a well worked set-piece – Joe Minter’s good delivery met by Aaron Seales. “Stansfield had a 10-minute spell when they looked to pin us back, putting us under strong pressure. “We weathered the storm and increased our lead through another set-piece by Harry Rogers. In the other game, James Jeffrey’s hat-trick paved the way for Staplehurst Monarchs United’s biggest win of the season 5-0, completing the double over Faversham Strike Force, who failed to build on the win at Otford the previous weekend. Alfie Plant hit the golfing headlines last summer when he won the Silver Medal as leading amateur at the Open Golf Championship at Royal Birkdale. Younger brother Albert who carried his bag on that memorable four days on the Lancashire coast last July, scored as a substitute on his first team debut for Division 1 West leaders Old Bromleians in the 3-1 win at Halls on Saturday and Alfie and his dad were there to watch. Joint top-scorer Adam O’Neill and Steve Brady added the others. Broms manager Danny Wakeling said: “Albert has progressed from the thirds to the seconds, got his call-up at the weekend, and came on and scored the third. “George Rolph, last season’s under-17 double-winning captain also got thrown into the fray into central midfield and acquitted himself brilliantly. “On the flip side, to replace some missing experience and leadership in the squad, Steve Devereux, 35, made his first first team appearance of the season, having played for the thirds, seconds and Vets this season. “His character around the dressing room was invaluable which balanced the blend just right. “Special mention too for Brady who at 33 refuses to give up his place. “He’s played across the club this year as well but never takes it for granted despite scoring 20 plus goals every season year in and year out. “All these things are indicative of the rise of the club over the last 18 months. “Players that care and show pride in playing for their club. There is a real throw back feel down at The John Cooper Ground which is very good to be a part of right now. Broms are looking forward to their first home game since November 4 on Saturday (against Stansfeld (Oxford & Bermondsey) Reserves). Wakeling though is unconcerned about that. He said: “It’s just how the fixtures have tumbled. No groans from me or anyone at the club. Chipstead moved second with a 5-1 home win over Stansfeld’s second-string, the Sevenoaks villagers taking their tally to 18 in three games, since the league resumed after it’s festive break. Zak Loveridge scored twice in another rain-hit contest and manager Fred Dillon says things have gone well so far this month. Dillon, who took over from Lee Roots when he left at the end of last season said:” I’m a great believer in team spirit and if you have that you can gain lots of success. “Since coming back, the team has clicked and we have a good buzz around the club, players have come and gone, now we have got a more settled stronger side and have took our chances which has put us right in the mix. He added: “I am enjoying being back in management at a different level after previously working at Crystal Palace’s under-16 Academy. The chairman (Alan Black) and the club are backing what we look to add to the whole set-up including the youth sides. Ross Norman and sub Danny Rowe claimed the points for Wateringbury as they beat Division 3 Central & East promotion rivals Burgess Hodgson 2-0. University of Kent progressed to the quarter-finals of the NRG Gym Les Leckie Cup, beating Staplehurst Monarchs United Reserves 10-2. Temerian Kassymkanov claimed a hat-trick while Bryan Tichawona added two more. They now host Rochester City next month. It’s been tough going this season for former champions Faversham Strike Force. “After reaching the heights of winning the Premier Division in 2015, we have had a major reshuffle of the team, losing a number of senior players, and the entire coaching staff earlier in the year. That was one of the challenges set this season – nobody said it would happen overnight, so wins like the come from behind 4-3 success at Otford United on Saturday – only the third of the season – is a boost. Axford said: “This season has been very challenging for the newly formed side. “After winning the league at the first attempt two seasons ago life is very different now. “Some major restructuring has taken place from the squad through to the coaching and management of the side. With sIx under-18s stepping up, and several new players joining us, the average age of the side is around 21 – very young. “It has been a massive challenge for the staff and players, dealing with the nature of some of the defeats. “ He added: “The development of the side is important, the players have reacted really well, and the youngsters have been brilliant. “Patience is key, we have to keep going learning from every game. On the win, coach Stuart Benfield added: “We welcomed back some players who have been absent recently, but missing a few, but Gary set the team up to go and get a result. “The game couldn’t have got off to a worse start – 2-0 down after 25 minutes but we then led 4-2 with 15 minutes remaining before a mix-up presented Otford with a third. “Otford hit the post with only a couple of minutes remaining but we held giving the team and managers a much needed lift and taking us of bottom spot. James Hood, Kane Taylor, an own-goal and Ali Adam were the Force scorers with Luke Blackaby, Rory Catt and Jamie Knight on target for the O’s. “Gary was delighted with the performance from all the squad and the result was a much needed three points” added Benfield. Fleetdown United are another team in transition, their upturn in fortunes in December earning Martin McCarthy, the Premier Division Aford Awards Manager of the Month award. He said: “It has been the hardest season for many reasons, however (there is) continued development again. McCarthy received the award before the 1-1 home draw against Farnborough Old Boys Guild. Harry Akers put Fleetdown ahead before Lloyd Mitchell hit Town’s equaliser. The much anticipated top-two clash between Kennington and Greenways was called off, while third placed Peckham Town were on cup duty. Stansfeld (Oxford & Bermondsey) are fourth, James Hammond’s winner beating Lydd Town Reserves. Joe Minter scored twice as Tudor Sports won 4-3 at New Romney, while Steve Turner, Luke Whitehead and sub Josh Reid clinched Metrogas’ 3-2 win at Lewisham Athletic. Joshua Armfield and Sam Hellens scored two each in Bexley’s 5-2 home win over Staplehurst Monarchs United. Sub Billy Graham’s decider earned nine-man Borden Village their quarter-final spot in the NRG Gym ‘Bill Manklow’ Inter-Regional Challenge Cup at Peckham Town’s expense. They now travel to Division 1 West Halstead United next month. Riley Alford made it 21 for the season with two for Division 1 Central 7 East leaders Deal Sports, 4-1 winners at Herne Bay Reserves, while Damian Abel’s hat-trick steered Hawkinge Town home 5-0 against Rolvenden. Ed Arundel and Ron Dunphy both hit hat-tricks as Welling Park enjoyed an 11-2 win at Orpington in Division 1 West. Joe Gavin’s treble was the pick of the scorers in Chipstead’s 8-1 win over Old Roan. Zak Loveridge put the Sevenoaks villagers ahead – Ryan Martin levelled things up, before Gavin and two-goal Dave Milton helped make things very one sided. Sub Connor Walsh hit two for leaders Old Bromleians in their 6-1 win at Long Lane. Columb Grant also scored twice as Ide Hill won by the same score at AFC Mottingham. AFC Ashford Athletic were another team to hit double figures beating Aylesford 14-1 in Division 3 Central & East, substitute Dale Horton hitting five inside the last half hour, and set a new club goal scoring record. Horton has now hit 54 in 63 games – beating Jack Bundock’s previous mark of 51 in 53 matches. AEI Sports joint-managers Peter Stanton and Michael Betts won the Aford Awards Eastern Section Manager of the Month award for the first time. The presentation was made before the home game against Faversham Town Reserves, as the leaders came from behind to win 5-1. Goalkeeper Dan Ball saved a penalty to stop to avoid going 2-0 down, before two-goal Daryl Herbert-Smith, Ellis Hutton, Lee Sturgeon and an own-goal completed the victory. Meanwhile the Kent County League Representative squad bid for a place in the semi-finals of the FA Inter-League Cup when they travel to face the Essex & Suffolk Border League at Coggeshall Town FC on Saturday (3:00pm). It’s a third successive away tie after wins in Dorset and Jersey. The other three quarter-finals are due to take place next month. York Football League v Lincolnshire League or Staffordshire County League. North Riding Football League v Isle of Man League. Amateur Football Combination v Thames Valley Premier League. Kennington wasted no time in shaking off any rustiness after a lengthy mid-season break as they continued their free-scoring ways with a 5-0 win at Faversham Strike Force. Playing for the first time since early December, they were 3-0 up by half-time, added two more in the second half, boasting five different scorers – excellent preparation ahead of this weekend’s home top-two clash against Greenways. Tom Scorer, Carlum McLeod and Adam Phillips netted before the break, with sub Jamie Birchard and Sam Conlon completing a sixth away win, and 12 for the season. Boss Dan Scorer said: “All the preparation paid off! “A good 5-0 win after three weeks off and a real dominant performance. Greenways missed out on a return to action with their home game against Borden Village was one of several matches lost to the weather. Luke Blackaby hit four as Otford United eased home 5-0 against Bexley, a fourth win in five games. Steve Turner scored twice in a 3-1 win at Tudor Sports for 10-man Metrogas who fielded a team including six teenagers in their 15-man squad. Roy Godden and Ethan Madden’s first of the season helped New Romney return to winning ways with a 2-1 win at Staplehurst Monarchs United, their first in seven league matches, stretching back to November 4. Steve McQueen and James McInerry netted as Farnborough Old Boys Guild drew 1-1 at home to Lewisham Athletic. Deal Sports stay a point clear of Kings Hill in Division 1 Central & East after both won their matches. Sub Connor Walsh scored twice as Division 1 West front runners Old Bromleians won 5-1 at Old Roan. Dale Taylor’s hat-trick set-up Halstead United’s 5-0 victory at Orpington, a fourth successive league win, while Dave Milton scored twice for Chipstead who won by the same score at Halls, on the day home boss Billy Judd was named Aford Awards Western Section Manager of the Month for December. Richard Floyd’s extra-time winner completed his hat-trick as Ashford FC earned a place in the Kent Reliance Junior Cup Group A quarter-finals with a 3-2 win over Wateringbury. Manager Ryan Norman was delighted. Writing on Facebook, he said: “For us to go and beat the current league leaders on their own patch is something not many will be able to achieve. “My boys set a benchmark for themselves, and I believe if they apply themselves in all our remaining games, there will not be many sides who take points off us. Two-goal Dale Horton scored another extra-time winner as AFC Ashford Athletic came from 2-1 down to win 3-2 at former winners Larkfield & New Hythe Wanderers to progress in the NRG Gym Les Leckie Cup. Bragging rights were shared as local rivals New Romney and Lydd Town Reserves claimed a point apiece in the 2-2 draw. One of only two Premier Division games to go ahead after the rest of the programme was postponed due to Rep squad call-ups, saw Romney lead twice, only to be pegged back. Wayne Rogers and Billy Wier-Somerville netted for the home side, with Ryan Easter and Joey Tibble replying for Lydd. Fleetdown United came from a 2-0 down to earn a point at Stansfeld (Oxford & Bermondsey). The home side led through Ryan Hassan’s double, before Jordan Dapaah and Harry Akers put United level. Stansfeld pair Bobby Holley and Harry Sewell were sent off. Deal Sports lead Division 1 Central & East going into the Christmas and New Year break after Riley Alford and Jack Tanner scored twice in a 5-0 home win over Hildenborough Athletic. Darren Blackburn has been appointed as Hollands & Blair’s new reserve team manager. He will be assisted by Pat Langford & Joe Bailey from the club’s present under-16 set-up. Adam O’Neill’s last minute penalty earned Division 1 West leaders Old Bromleians a point in a 4-4 draw at Chipstead. The home side led twice, before Broms went 3-2 up. Chips made it 4-3, before 0’Neill levelled things up to keep his side top on goal difference from Sutton Athletic Reserves. Substitute Jamie Clarke scored twice in the Hextable side’s 5-0 win at Stansfeld (Oxford & Bermondsey) Reserves, while another, Vincenzo Mazzone helped Halls beat Old Roan 5-2. Tuguy Ali hit a hat-trick as AFC Mottingham won by same score at Orpington. Lewis Tomkins scored twice for Snodland Town Reserves’ 3-1 win over Larkfield & New Hythe Wanderers in the only Division 2 Central & East game of the day. Barry Ryan’s treble moved him into double figures for the season as South East Athletic won 6-4 at home to Belvedere in Division 2 West. They led 3-0 and 5-2 at half-time. Ellis Hutton scored twice as Division 3 Central & East leaders AEI Sports completed a 4-0 home win against Woodnesborough. Sporting Club Thamesmead without a first team game fielded a strong reserve side, Josh Patrick hitting a hat-trick in the 6-2 win at HFSP & Ten-Em Bee. They head Division 3 West goal difference from Drummond Athletic. Two-goal George Latham and substitute Dan Hanshaw earned the Kent County League Representative side a place in the quarter-finals of the FA Inter League Cup with a 3-1 win over Jersey’s Combination League in St Helier on Saturday. They now face a third successive away tie against the Essex and Suffolk Border League in February. Borden Village striker Latham, making his first start, scored twice in the space of five minutes as Kent came from behind to lead at half-time. The home side suffered another blow with skipper Luke Campbell sent off early in the second half, following an off the ball incident. Kent came strong in the second half and settled the tie in front of the 142 crowd on the 3G pitch at the impressive Springfield Stadium complex, when Cuxton hot-shot Hanshaw, a 72nd minute replacement for Latham, got on the end of a huge clearance from Otford United goalkeeper Justin Lee to nod over Jersey opposite number Jose Figueira into an empty net. Kent had chances to add to their lead before Lee saved well from scorer Adam Trotter late on. The visitors shrugged off an early start, ahead of a breakfast time departure from Gatwick to claim another excellent win, and a second come-from-behind success, following the 3-2 win over Dorset in Swanage two months ago. As then, Kent were under the cosh early on, the home side going close several times, the difference this time is they were ahead at half-time, instead of behind. Trotter glided in at the far post to fire home past Lee eight minutes before half-time. Latham made it 1-1 60 seconds later, heading home from close-range, finishing off fellow striker Ali Amisu’s set-up. The pair had worked hard to create the chance, and Latham struck again soon afterwards, running onto a long ball, before tucking the ball inside the near post as Figueroa came off his line. He wasn’t far away from getting a third, shooting wide of the far post, and went close again just before the interval. Kent were on the front foot from the restart, ahead of Campbell’s early red card. Play had switched to halfway when Sussex referee Rob King halted play, consulted his assistant and dismissed the Jersey captain, a key figure for the Islanders, and his club, St Peter – semi-finalists in the Kent Reliance Intermediate Challenge Shield. 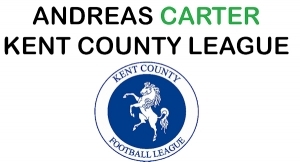 Lee’s clubmate, skipper Jamie Knight was at the heart of much of Kent’s good work, while Greenways left back James Trueman was another who caught the eye in a strong second half display. Campbell’s dismissal was a blow from which Jersey never recovered and Hanshaw’s brave header, his first goal for the side, capped another good afternoon. Darren Phillips, hailed the Jersey win as a “great result”. The 3-1 victory and a place in the last eight is the reward, but manager Phillips reckoned the margin of victory could have been bigger. He struggled to name a squad before the 3-2 win in Dorset in October, following numerous cry-offs, but it was a different story this time with Greenways player-manager Rob Jeffrey, the only withdrawal. Phillips said: “It was a great result, but I thought we made hard work of it really. “We started slowly against a side who showed they play together a lot, and had plenty of possession, but didn’t do a great deal with it. He added: “Conceding the first goal was perhaps what we needed to get us going. “We scored straight afterwards and I said to the boys at half-time we only had three attempts on goal, and scored two of them. “Second half we didn’t create too many clear chances either, but Dan Hanshaw went on and scored the third with a brave header because he could have been wiped out by the keeper. “George (Latham) is a striker who has been around the league a long time with Borden Village. “He is one of those players who hits 20 goals a season, so can score at this level, and took both very calmly. “Tactically we looked to play 4-5-1. but changed to 5-3-2, with skipper Jamie Knight playing in another different position. “Everything revolved around him – a player who has probably now played around 25 games for the Rep side which must be some sort of record. Jersey manager Martin Cassidy. speaking to BBC local radio after the game, said: “Their keeper was man-of-the-match, and won every single crossed ball. Phillips hopes to arrange a friendly next month ahead of the trip to face the Essex & Suffolk Border League in February, with date and venue to be confirmed. He said: “The more we play together you never know what my happen. Kennington and Greenways will head into the Christmas and New Year break as joint Premier Division leaders, separated only by goal difference. Both have a free weekend with players named in the Representative squad for the FA Inter League Cup second round tie against the Jersey Combination League in St Helier on Saturday. With Kennington’s trip to Stansfeld postponed due to a frozen pitch, Greenways took advantage, moving level on points, courtesy of a 5-2 home win over Lydd Town Reserves, Simon Walton scoring twice. Peckham Town are third after Ali Amisu and Adam Tarrant netted in the 2-1 victory over Lewisham Athletic, a first win in five matches. Tom Bradshaw, made it three in three games, with the winner as Tudor Sports beat Farnborough OBG to move fourth in the table. Joe Abbott hit his eighth of the season in Bexley’s 2-2 home draw against New Romney, Roy Godden scoring his ninth of the campaign for the visitors. Luke Blackaby hit two as Otford United chalked up their third win in four games, 4-1 at home to Borden Village. Staplehurst Monarchs came from 4-2 down to earn a point, sharing eight goals with Metrogas. They led twice -1-0 and 2-1, Gas then scored three times to go 4-2 up, Monarchs clinching a point, thanks to Peter West. Nathan Bertrand, brother of Southampton and England defender Ryan, Luke Wallond and Ed Rosetti were Monarchs other scorers, with Mitchell Hill and Luke Whitehead, hitting two each for Gas. Fleetdown United chalked up their third successive win, 2-0 against Faversham Strike Force, with goals by Lee Anderson and Jordan Dapaah. Hollands & Blair Reserves are looking for a new manager after Keith Patching stepped down due to work commitments. The team lost 3-0 at Hawkinge Town on Saturday, an 11th successive defeat, travelling with only 12 available players, but the club were pleased to fulfill the fixture. It’s all change at the Medway club with Laurie Plummer stepping down as club manager and lead executive. He will be succeeded by former manager Paul Piggott and Phil Knights, who assume the roles of joint chairmen, but stays as secretary. Damian Abel, Toby Heydon and James Walton netted for Town, who join Kings Hill on points, but a plus-10 goal difference keeping the West Malling outfit top. Old Roan continue to enjoy themselves in Division 1 West, 4-2 winners at home to Club Langley, a fourth successive win, scoring 15 goals in the process. They are second behind Old Bromleians, again on goal difference, the latter left without a game after opponent Long Lane failed to raise a side. Halstead United progressed in the NRG Gym ‘Bill Manklow’ IRCC, 4-2 winners at Guru Nanak, Lewis Longhurst hitting two, making it 16 for the season. Chipstead’s player-manager Fred Dillon is the latest County League player in the wars, sustaining a dislocated elbow, as his side hit a late winner in the 3-2 win at FC Woodlands to reach the quarter-finals of the Sevenoaks Senior Charity Cup. Ashford FC beat local rivals Bromley Green 5-2 in the NRG Gym Les Leckie Cup. This weekend sees the final programme of the year before the mid-season break – the season resumes on Saturday 6th January. 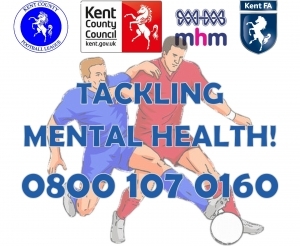 Five goals, two red cards, three penalties and a clutch of bookings all added up to an eventful Kent Reliance sponsored Intermediate Challenge Shield quarter-final as Hawkinge Town beat Tudor Sports 3-2. Home goalkeeper Dan Cook and visiting top scorer Ross Morley were both dismissed just before half-time. Town scored twice from the spot through Damian Abel and James Everitt, with another from Nathan Hardwick sandwiched in between. Sports replied with another spot-kick by Tom Bradshaw and Joe Minter. Hawkinge now meet Bexley 3-1 winners at Kings Hill – with goals by Tyler Norbert, Joshua Armfield and Joe Abbott. Brad Cross scored twice in Greenways 6-1 win over Ide Hill to earn a last four meeting with Jersey club St Peter. Fellow-sub Junior Farrell, Harry Gann, Josh Taylor and James Truman added the others making it a double celebration following player-boss Rob Jeffrey being named Aford Awards Premier Division Manager-of-the-Month. Jake Prince’s hat-trick set-up St Peters’ 6-0 win at AFC Mottingham – all the goals coming in the second half as they did in the previous round at Farnborough OBG. The semi-finals take place in February with the final on 14th April. Carlum McCleod’s double helped Kennington claim a 6-1 win at Farnborough OBG, top the 50-goal mark for the season and move seven points clear of third placed Peckham Town. Last season’s league sharpshooter Abraham Opuku scored both as Peckham were held 2-2 at home by Staplehurst Monarchs United, a third successive draw. Luke Blackaby and sub Andy Knight netted for Otford United as they claimed a third away win -2-1 at New Romney. Frankie Steer’s hat-trick helped Lydd Town Reserves win 5-2 at Faversham Strike Force. Joby Smith grabbed the winner at Metrogas as Fleetdown United made it two wins out of two. “Great performance” was manager Martin McCarthy’s verdict. Riley Alford, runner-up behind Opoku last season, scored twice, making it 16 for the season as Deal Sports moved second in Division 1 Central & East with a 3-1 win over Guru Nanak. K Sports Reserves’ Jay Wells became the third KCL player to suffer a serious injury this season, forcing the home game against Cuxton 91 to be abandoned. Wells faces a long lay-off and was due to undergo surgery this week. Player-coach Martin De Fede said: “Jay has broken his tibia at the joint. Lewis Longhurst also scored twice to also move to 16 for the season as form team Halstead United stretched their unbeaten run to seven games, beating Old Bromleians 3-2. New manager Peter Nolan is settling in at the club after seeing them beat Halls AFC 4-1 in his first game in charge last month. He said: “I have played in and around the Kent Leagues for nearly 10 seasons and was part of the management team at Chipstead with Lee Roots. “I went with him to Holmesdale, doing the whole pre-season and the first 10 games there, including an FA Cup tie which was a great experience. He added: “I went to speak with John and Kevin Brett and we had very productive talks. “I have been extremely impressed with the squad, and club as a whole. “There is lots of work to do, but it is a great base to become successful as well as a very good group of players to work with. “Training has been extremely good since starting, and the squad responded brilliantly to the small things I have tried to do. Danny Rowe’s hat-trick helped Wateringbury move into the quarter-finals of the NRG Gym Les Leckie Cup, 6-2 winners over Rusthall Reserves, on the day Greg Ivey received the Aford Awards Eastern Section Manager-of-the-Month award. Connor Morrow scored twice and sent off as Tonbridge Invicta joined them, beating Lordswood Reserves 3-1. Tenterden Town are also through after Matt Goldsmith’s winner settled the tie at West Farleigh. Lee Hedges of new-boys Red Velvet was the third Manager-of-the-Month winner. The Division 3 West leaders maintained their good form, as Harry Taylor grabbed a hat-trick in the 5-2 victory at Sporting Club Thamesmead Reserves. Carlum McCleod’s hat-trick ensured Kennington manager Dan Scorer celebrated his century of games in charge in style with an 8-1 win at Staplehurst Monarchs United. McCleod’s hat-trick, made it 16 for the season, Sam Conlon adding two more as Monarchs conceded eight for the second successive week. Scorer was pleased to see his side hit their straps again quickly after the 4-0 ‘Bill Manklow’ IRCC defeat at local rivals New Romney the previous week. He said: “Very proud of the response. He added: “I took over at end of June 2014 at the age of 23, and had to start from scratch really, as most of the team had left. “We won promotion in my first season, then came runners-up in our first team in the Premier, followed by a disappointing fourth placed finish last season. “Hopefully this is the season to finally win the title. Goalless draws are a rarity in the Premier Division, but featured this weekend as the third vs second meeting between Peckham Town and Greenways and Otford United’s home game against Farnborough OBG both produced shut-outs. Borden Village are fourth after coming from behind to win 4-1 at home to New Romney. Billy Wier-Somerville put the visitors ahead before two goal Tyla Clements helped Village come from behind to win, goalkeeper Harrison Rooke also saving a penalty. Tudor Sports and Lydd Town Reserves shared six goals at Oxford Road, with Tom Morgans scoring twice for the visitors. Lydd led 1-0 before Tudor went in front twice, 2-1 and 3-2. Lydd then converted a penalty 10 minutes from time to earn a point. Teenager George Gibbard made his debut for Tudor after signing on dual registration from Erith & Belvedere as cover for injured Simon Vanderhook who suffered a broken finger in the win over Borden the previous week. Fleetdown United earned only their second win of the season with a 3-1 victory at Faversham Strike Force. Manager Martin McCarthy said: “A hard fought win where luck finally started to turn for us. Reflecting on a difficult campaign following last season’s impressive fifth place finish he added: “It’s been a tough season so far. “(We were) victims of our own success as we lost players pre-season to higher league clubs….. and trying to promote from within with younger players has been slow. “However once settled the club will be in a very strong position. The defeat sees 2015 champions Strike Force bottom of the table, a team still in transition following huge changes on and off the pitch. It was a point raised by club manager Gary Axford in his report at last week’s annual meeting. He said: “It is important we have a presence at this level going forward. Dan Hanshaw hit five as free-scoring Cuxton 91 beat Herne Bay Reserves 7-0, the visitors not helped by seeing their goalkeeper forced off with injury. Old Roan boasted eight different scorers in their 8-0 IRCC win over Orpington who have confirmed Alan Hughes as their new manager. John James’ winner clinched Lewisham Athletic’s place in the last-16 of the competition, beating Old Bromleians. Meanwhile Broms have named AFC Mottingham manager Michael Walsh as the latest recruit to Danny Wakeling’s management set-up. Snodland Town Reserves progressed in the NRG Gym ‘Les Leckie’ Cup while Nomads and HFSP & Ten-Em-Bee completed the quarter-final line up in the NRG Gym ‘Barry Bundock’ West Kent Challenge Shield. Goals galore across the day’s League and Cup programme on a damp and dismal Saturday. Stansfeld (Oxford & Bermondsey) led the way in the Premier Division with Michael Zanelli and Omar El Mantawy both scoring twice in an 8-3 win over Staplehurst Monarchs United. Aaron Kleman hit two as leaders Greenways continued their prolific ways, with three in each half on their way to a second successive 6-2 win over Metrogas. Luke Blackaby’s hat-trick led Otford United to a 4-2 victory at Lydd Town Reserves. Two-goal Danny Smythe helped Tudor Sports record a third successive league win, 4-1 over Borden Village. Tom Barton netted for Faversham Strike Force in their 1-1 home draw against Peckham Town, before joining up with other Kent youngsters taking part in England Schools trials the following day. Jack Mayhew scored twice as Kings Hill won 4-1 at Hildenborough Athletic to go top of Division 1 Central & East. Steven Brady and Nick Craft hit five each as Old Bromleians registered the day’s biggest score, 13-0 at Orpington in Division 1 West. However home side boss Danny Wakeling was still full of praise for the beaten opponents. He said: “I feel it’s right to pay respects to the O’s lads. “They were dignified in defeat and showed highly admirable qualities to keep ploughing on in real adversity. Welling Park upset Premier Division Fleetdown United 3-2 to progress in the NRG Gym ‘Bill Manklow’ Inter Regional Challenge Cup, along with New Romney, Farnborough Old Boys Guild and Club Langley. Elsewhere in the competition, Matt Gething’s hat-trick and Dan Hanshaw’s double sent Cuxton 91 through 6-0 against Hawkinge Town, while substitute Riley Alford hit four as Deal Sports won 8-2 after-extra-time at Rolvenden. Jason Perry clinched K Sports Reserves’ 1-0 win at Hollands & Blair. Sporting Club Thamesmead Reserves, FC Elmstead Reserves, Johnson & Phillips, Welling Town and Red Velvet, 7-2 winners at Sydenham Sports, are through to the quarter finals of the NRG Gym ‘Barry Bundock’ West Kent Challenge Shield. Meanwhile Halls Athletic members have voted unanimously to change the club’s status to a charity. The decision was taken at an EGM last Wednesday. Kent FA & KCL Representative and club Life President Harry Martin ratified the vote and outlined the new future direction of the Princes Park club. 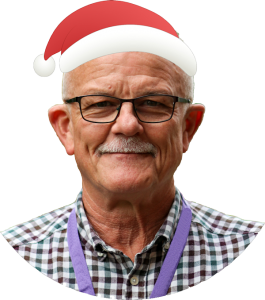 He was one of five “interim custodians” appointed, also including chairman Steve Vanstone and secretary Chris Michaelas, with the existing elected committee structure and function remaining unchanged until the 2018 AGM. Following the vote, and close of the EGM, a further discussion followed, leading to the launch of an independent Focus Group from the membership. League wins have been hard to come by for Farnborough Old Boys Guild so far this season. However they succeeded in turning the Premier Division form book on it’s head at third placed Peckham Town on Saturday as Jamie Spiteri’s impressive first half strike grabbed the points. A goal, stylish in both creation and execution, according to delighted manager Byron Beard. He added: “It was a good win and fully deserved. “We brought in a couple of new players and they have started to settle in now, we defended well and had two or three good chances in the second half to extend our lead. “The game in general was a great advert for the KCL with both teams playing good football and played in the right spirit. “Our start has not gone to plan and that’s due to two main issues which I think most teams face. “We lost 14 players to the Southern Counties East League, and have had no few than 12 different centre back partnerships due to injuries (ligaments, triple leg break, ankle). “We don’t pay and therefore work takes priority, so it’s hard to get the same 11 turning up every week to training and matches but we are working on that and the last two games has seen 10-11 individuals turn out each week which has seen the improvements. “We had two players aged 36 and 38 year old playing at the weekend, while seven of the starting eleven came through the club from our 2nd/3rd and 4th teams showing the progression of the club on both Saturdays and Sundays. Lee Friend capped a good day for the Guild, scoring the winner for the Reserves in the 1-0 at Metrogas Reserves to progress in the NRG Gym ‘Barry Bundock’ West Kent Challenge Shield. Elsewhere, 13-goal Carlum McCleod scored twice and Harry Goddard hit his fifth in as many games as leaders Kennington beat Faversham Strike Force 3-1. Two-goal Harry Gann, Brad Cross and three substitutes, Alex Clare, Aaron Kleman and Ty Omer netted as second placed Greenways won 6-2 at Staplehurst Monarchs United. Bexley are fourth, an own goal earning them their 1-0 home win over Metrogas. Borden Village made it seven points out of the last nine, winning 4-1 against Lydd Town Reserves, goals by Liam Baxendale, Jack Sayer, Lee Sayer and sub George Latham. Home wins too for Stansfeld (Oxford & Bermondsey) (3-1 against New Romney) and Tudor Sports (3-0 over Fleetdown United), Ross Morley on target again, his 16th of the season, and sixth in five games. Wes Foord and Liam Dickson netted as Hawkinge Town won 2-1 at Kings Hill to join them and leaders Cuxton 91 on 21 points in Division 1 Central & East. New boys Red Velvet top Division 3 West after a 4-0 win at Peckham Town Reserves. Welling Town were 3-0 winners at HFSP & Ten-Em-Bee in their Kent Reliance Junior Cup Group A First Round tie. Congratulations to Marc Vicary of Deal Town Rangers on being named October’s Aford Awards Eastern Section Manager-of-the-Month. He received the award from chairman Cyril Windiate on Saturday, then saw his team beat Tenterden Town 3-2 in Division 3 Central & East. He said: “I have been with DTR for 10 years as Assistant Coach and now Manager, my colleague Mike Drane has also been with the club for the same time. “He started as a parent watching, then got roped into help and is now part of the coaching set-up. He added: “We ensured we had a competitive squad by bringing in some old heads with experience to help the younger players. “We now have a balanced group with ages ranging from 17 to 35 – including my son George and Mike’s boy Charlie who was captain against Tenterden at the weekend. “We still have seven of our original under- eights squad playing an active part every week. New Romney from the Marsh – are on the march. An indifferent beginning to the season is in the past, culminating in boss Dave Johncock being named October’s Premier Division Aford Awards Manager of the Month. He received the award from League Chairman Cyril Windiate and Kent FA Chairman and County League Vice President Philip Smith, at the 1-1 draw with morning leaders Peckham Town on Saturday. Johncock is in third season in charge at the club working with assistant Devan Johnson. He said: “We had a slow start to the season for numerous reasons, and to be fair, the players didn’t hide and have really worked hard to put things right and turn things around. “It’s nice to receive the MOM award – and I accept it on behalf of the squad of players that I have, who have played really well throughout the month and deserve recognition. “We finished runners up in Division 1 Central & East, in my first season, won it last season and are now moving in the right direction in the Prem. Daniel Welsh put New Romney ahead before Kenneth Ilo levelled things up. Egan admitted the journey to South London wasn’t the best but says going home with a point made it all worthwhile. Goalkeeper and Fitness Coach Paul Egan said: “The trip there was a nightmare and took us two hours. “Peckham are a great passing team, and by far the best we have played so far. Peckham slipped to third behind Kennington and Greenways. Carlum Mcleod’s double earned Kennington their 2-1 win at Fleetdown United. Greenways maintained the only remaining unbeaten record beating Otford United 4-0. Player-Manager Rob Jeffrey and James Trueman both scored for the first time this season, with Brad Cross and Junior Farrell getting the other two. Metrogas are fourth, manager Mark Warner praising the “great performance” of two 16-year old’s Connor McCormack and Tyler Bennett in the 2-2 draw against Borden Village. Bennett made his senior debut while McCormack was involved in his second match – two products of Phoenix Sports FC’s Youth Development. Warner said: “If they are good enough, they are old enough.” Toyeeb Babatunde, his 10th of the season and Joe Plant’s penalty netted for Gas, with George Latham and Lee Sayer replying for Borden. Bexley grabbed a late winner to clinch a 2-1 victory at Faversham Strike Force, Owen Griffiths and sub Ryan Cornish the scorers. Jake Biggs and Harry Fox were both first time scorers as Stansfeld (Oxford & Bermondsey) won by the same score at Lewisham Athletic. Ross Morley’s 15th of the campaign earned Tudor Sports their 1-0 win at Farnborough OBG, on a good day for away teams, winning four of the seven games. Jack Morrison and Frankie Steer both scored twice as Lydd Town Reserves progressed in the NRG Gym Bill Manklow Inter-Regional Challenge Cup, beating Staplehurst Monarchs United 9-1. Matt Gething made it 16 for the season with two more as Cuxton 91 won 3-1 to top Division 1 Central & East, on goal difference from Kings Hill. Old Bromleians, boosted by being granted planning permission for their ambitious new ground development plans, moved top of the West Division, Adam O’Neill getting the winner to beat AFC Mottingham. Mixed fortunes for other clubs in the competition. West Farleigh and Wateringbury, SC Thamesmead Reserves and Red Velvet all going through. Goalkeeper Levi Rutherford’s sudden-death penalty save helped Crayford Arrows progress in the London Junior Cup, courtesy of a 5-4 shoot-out win at South East London (Wimbledon). Arrows conceded a late equaliser to draw 3-3 in normal time. Daniel Probets, Jamie Cox and Erol Hassan were the scorers. Long Lane and Peckham Town Reserves also won on penalties while Club Langley, Drummond Athletic, Bridon Ropes Reserves and Stansfeld (Oxford & Bermondsey) Reserves went through in normal time. The League’s representative side are back in action next Wednesday, 15th November, when they face the Essex Olympian League in the annual fixture between the two competitions. The match is being played at Aveley FC (7.45pm) and is preparation ahead of the FA Inter League Cup Second Round trip to Jersey next month. Luka O’Neill is the latest addition to the ranks of Peckham Town’s hat-trick scorers. Abraham Opuku set the bar high last season with nine and marked his only game for the club so far this season with another. Rep XI pair Ali Amisu and Kenneth Llo have hit 18 goals between them so far this season, but O’Neill claimed the weekend scoring honours with his treble in the 4-2 win at Staplehurst Monarchs United. Llo netted the other, the victory taking the South London club back to the top of the table. Kennington’s lead proved short lived as opponents Farnborough OBG cried off due to being unable to field a side at Ashford. James Austin was another new name on the score sheet netting his first of the season as third placed Greenways beat Stansfeld (Oxford & Bermondsey) 4-3. Brad Cross, Aaron Kleman and an own-goal were the other scorers. Joe Plant got the winner for Metrogas in the 1-0 win over Faversham Strike Force. Lewis McCrory scored twice as Borden Village beat Fleetdown United 3-1. Two-goal substitute James McInerry came off the bench as Lewisham Athletic beat Lydd Town Reserves 5-3. Top scorer Ross Morley hit his 14th of the season as Tudor Sports drew 1-1 at Otford United. Luke Parker netted for the O’s. Bexley and Kings Hill won their respective Kent Reliance Intermediate Challenge Shield ties and now meet in the quarter-finals at West Malling in early December. Bexley were 4-0 winners at home to Cuxton 91, while Kings Hill were 7-6 penalty shoot-out winners at New Romney after the teams were locked at 2-2 after-extra-time. Two teams hit 13, Mo Kamara hit five as AEI Sports in their win at Aylesford in Division 3 Central & East, while four-goal sub Louie Clarke was one of eight marksmen in HFSP & Ten-Em-Bee’s big win at AFC Lewisham in the West. Best wishes for a speedy recovery go to Club Langley’s Kaiyo Peake after suffering a potentially serious leg injury in the 2-1 Division 1 West defeat at Halls AFC. Congratulations to AFC Ashford Athletic’s Stuart Kingsnorth on his first Aford Awards Manager of the Month award. Kingsnorth received the award from chairman Cyril Windiate before scoring in the 2-2 Division 3 Central & East draw at CC Sports. He said: I am very proud to pick up the award for the first time and being new to the league. “A massive thank you to my assistant manager Charlie McKenzie and our Head Coach Rick Howlett. Both teams also won praise from referee Nic Derrane. The Thanet official said: “They were excellent in accepting decisions. Two-goal Jordan King helped Kennington come from behind twice to beat Bexley 4-2 and top the Premier Division for the first time since being promoted three seasons ago. Carlum McLeod and Dale Davis added the others as the Ashford villagers moved three points clear. Manager Dan Scorer said: “It’s been a really positive start to the season, and we seem to have real mental toughness about us this year. Metrogas were another team to come from behind to win, beating Lydd Town Reserves 3-2 to move fifth. Manager Mark Warner “hailed a great last 20 mins” as Tom Warner, Toyeeb Babatunde and a fourth in three games by Mitch Hill earned the result. New Romney chalked up their fourth successive win, made it seven unbeaten, and scored four for the third game running at home to Lewisham Athletic. Billy Weir Somerville, Warren Smith, Simon Rainbow and Josh McCue were the scorers. Andy Knight, Dave Finnigan and skipper Jamie Knight netted as Otford United moved off the bottom with a 3-1 home win over Staplehurst Monarchs United. Elliott Payne converted from the spot as Faversham Strike Force drew 1-1 at home against Stansfeld – Michael Zanelli scoring for the visitors. Away from League, Brad Cross hit both as Greenways progressed in the Kent Reliance Intermediate Challenge Shield, winning 2-1 at Welling Park. Ryan Taylor scored twice in Division 1 Central & East Hawkinge Town’s 3-0 win at Premier Division Fleetdown United. Substitutes Charlie Tagg and Antony Tye and top scorer Ross Morley were on target as Tudor Sports won 3-0 at home to Borden Village. Ide Hill grabbed the extra-time winner beating local rivals Chipstead 3-2 with goals by Tom Wright, Craig Jackson and Steve Boyle. Farnborough Old Boys Guild went out, beaten 5-0 at home to Jersey club St Peter, all the goals coming in the second half. Riley Alford, 45-goal runner-up to Abraham Opoku in last season’s race for the Sharpshooter of the Year Award got the winner as Deal Sports won 1-0 at Division 1 Central & East leaders Cuxton 91. Player-of-the-Month Adam O’Neill was among the scorers as Old Bromleians beat Division 1 West front runners Sutton Athletic Reserves 2-1. Nick Craft got the other. Adam Hill, back from his Kent Rep XI debut in Dorset was on target as Division 2 Central & East leaders Rochester City beat Rusthall Reserves 2-0. Nathan Gordon added the second. Division 2 West top-two Sydenham Sports drew 0-0 at home to Welling Town. Goals aplenty in Division 3 Central & East with Faversham Town Reserves topping things, Callum Leader’s hat-trick helping them beat CC Sport 6-4. Rikki Christian and Mark Davison capped a good day for Deal Sports as the club’s second string won 2-1 at AEI Sports to top the standings. Kushal Campbell’s hat-trick eased HFSP & Ten-Em Bee home 7-1 against Bridon Ropes Reserves in Division 3 West. Leaders Drummond Athletic went out of the NRG Gym Barry Bundock West Kent Challenge Shield, beaten 2-1 at Johnson & Phillips, Ben Charles getting both. One managerial change sees Jack Bradshaw step down at Old Roan, wanting to concentrate on playing. Callum O’Shea takes over as he continues his recovery from injury. Goalkeeper Bradshaw moved to the Kidbrooke club at the start of the season. Roy Godden has scored goals wherever he has played in his career. The striker may be eight months past his 40th birthday but still hasn’t lost his prolific touch, and that’s good news for New Romney. Godden hit two more in the 4-2 win at Farnborough Old Boys Guild, the only Premier Division game of the day, making it seven in four games. Josh McCue added the other two setting up a third league victory in a row, putting them ninth in the table. Matt Gething and former League Sharpshooter-of-the-Year Dan Hanshaw are trading goals as Cuxton 91 continue their rapid rise through the divisions. The pair have hit 27 between them so far this season, Gething hitting four in the 5-0 Division 1 Central & East win at Guru Nanak. Godden’s in good company with two more of the county’s top marksmen down the years, Paul Booth and Simon Austin, both on target for ambitious Kings Hill in a 4-0 win over Herne Bay Reserves. Top scorer Adam Whatman hit Sutton Athletic Reserve’s winner at Halls AFC to top Division 1 West. Craig Jackson claimed four as Ide Hill ran out 9-1 winners at Orpington. Danny Rowe scored twice as Wateringbury won 4-2 at Burgess Hodgson to take over top spot in Division 2 Central & East from Rochester City, whose game was called off due to Rep Team calls. Joe Tucker’s hat-trick helped Fleetdown United Reserves beat Nomads 4-3 to sit third behind Division 2 West top-two Sydenham Sports and Welling Town. Substitute Callum Leader was another of the day’s treble scorers as Faversham Town Reserves scored six without reply at Aylesford. Four-goal Chris Plummer and Charlie Boyles’ hat-trick eased Drummond Athletic to an 11-1 at AFC Lewisham to take over at the top of Division 3 West. Meanwhile Deal Town Rangers came from 5-2 down with half an hour left to beat AFC Ashford Athletic 6-5 in the Kent Junior Cup Group A First Round tie. Four-goal Jamie Ellertsen engineered the comeback with a 15 minute treble, an achievement matched by 12-goal AFC top scorer Dale Horton. Referee Trevor Roberts has thanked Snodland Town and Deal Sports after being taken ill forcing the NRG Gym Les Leckie Cup tie to be abandoned. The official collapsed on the pitch with chest pains and was taken to Maidstone Hospital by ambulance. He was kept in for tests, before being discharged, and is awaiting further investigations. In a twitter message, he thanked them for their help. Holders Greenways made an early exit from the NRG Gym ‘Bill Manklow’ Inter-Regional Challenge Cup, beaten 4-0 at home by Borden Village. Three up at half time through goals by Ross Frost, an own goal and Lee Sayer, substitute Steve Goldsmith added a fourth late on to condemn the hosts to a first defeat of the season. Femi Dada and Kenneth Ilo both scored twice as Peckham Town came from behind to beat Bexley 7-1. The defeat spoiled James Cornes’ day after the Bexley boss received the September Manager-of-the Month award. Scott Gillman’s hat-trick paved the way for Kings Hill’s 5-3 win over Faversham Strike Force, youngster Tom Barton matching his scoring exploits for the Faversham club, including a penalty. New signing Nana Mensah was among the scorers as Farnborough OBG made it three wins in a row with a 3-1 success at Ide Hill. Kennington moved joint-top of the Premier Division, beating Lydd Town Reserves 5-0 with goals by Joe Fisher (two), Dale Davis, Rob Greenfield, his first of the season and Tom Scorer. Otford United broke their duck for the season – scoring eight without reply in the Premier Division at Stansfeld (Oxford & Bermondsey). Rory Catt’s treble and Jamie Knight’s double claimed the scoring honours. Chris Clemens scored both as Lewisham Athletic beat Tudor Sports 2-1. New Romney claimed their second win of the season, edging through 4-3 against Metrogas while Fleetdown United shared the spoils and the goals in a 3-3 draw at Dartford. John Smith produced the individual scoring display of the day with five for Hawkinge Town in their 8-1 Division 1 Central & East win at Hollands & Blair Reserves. Jake Beckett’s 40-yard “belter” and two each by Dan Hanshaw and Matt Gethin eased Cuxton 91 home, 5-0 at Herne Bay Reserves to go top on goal difference. Two goal Adam Whatman helped Sutton Athletic Reserves win 4-1 at Halstead United to take over at the top of Division 1 West. A last minute winner clinched Old Roan a 2-1 victory at Old Bromleians, ending their unbeaten 18-game home record, 16 wins and two draws, stretching back to March last year. Tom Bradshaw and Micky Smith were Roan scorers. Davinder Singh’s winner gained AFC Mottingham’s first three points of the season, 1-0 winners at Stansfeld (Oxford & Bermonddsey) Reserves leaving manager Michael Walsh expecting there is more to come. Dave Stevens scored two late goals as Halls AFC beat Long Lane 3-1. Congratulations also to Darrell Queeley of HFSP & Ten-Em-Bee on winning the Aford Awards Western Manager of the Month award. They celebrated with a 4-2 Kent Junior Cup win over Farnborough Old Boys Guild Reserves, Kushal Campbell hitting a hat-trick. Steve Weatherley’s hat-trick and two more by Danny Stokley eased Sporting Club Thamesmead home 8-2 at Kingsdale. 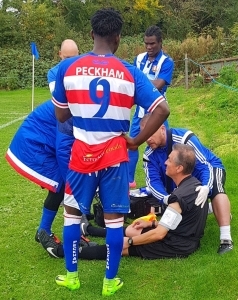 Assistant referee Sam Hayon has thanked Peckham Town physios Paul Kemsley and Rohan Howitt for their quick actions after he was accidentally struck in the face by the ball during the club’s 2-0 win at Metrogas on Saturday. The official needed lengthy treatment, following the incident early in the second half with the game at New Eltham held up for eight minutes. Hayon says the efforts of Kemsley and Howitt aided his recovery, avoiding a trip to hospital, enabling him to continue, and the match completed. Armed with blood pressure and heart rate monitor and a defibrillator, the pair ensured Hayon was in safe hands. Ali Amisu scored both goals to win the game, taking him into double figures for the season. Town lead the Premier Division table by a point from Greenways, Simon Walton and Brad Cross scoring in the 2-1 home win over Fleetdown United. Bexley are third, Tyler Norbert hitting two in their 4-0 win at Borden Village. Ross Morley’s 10th goal of the season and Harry Rogers earned Tudor Sports their 2-0 home win over Kennington, moving them ninth in the table, and stretching their winning run to four games. Six of Morley’s goals have come from the penalty spot. New Romney are off the mark for the season, Roy Godden scored both in the 2-1 home win over Staplehurst Monarchs United. Alex Barnes clinched Farnborough Old Boys Guild’s first victory, with the winner at Faversham Strike Force who finished with nine men. Goalkeeper Liam Turner also saved a penalty. Lewis Longhurst’s hat-trick helped Halstead United see off Stansfeld (Oxford & Bermondsey) 7-2 in the NRG Gym ‘Bill Manklow’ Inter-Regional Challenge Cup, while Lewisham Athletic went through 4-2 on penalties at Otford United. Three second half goals by Ryan Blake, Scott Gillman and Jack Mayhew carried Division 1 Central & East leaders Kings Hill to a 4-3 win at Hawkinge Town, ending their seven-match winning run. Dan Hanshaw’s hit his 11th of the season as Cuxton 91 won 3-0 at Rolvenden. Hildenborough Athletic’s new management team tasted victory for the first time as they came from behind to beat Hollands & Blair Reserves 4-2. Four-goal Lewis Bowler and Terry Knott’s hat-trick claimed the individual scoring honours as Sutton Athletic Reserves won 12-0 at Orpington in Division 1 West. Division 2 West leaders Sydenham Sports suffered their first defeat of the season, Barry Ryan and Eden Cummins scoring twice in South East Athletic’s 4-3 win. Rochester City and Wateringbury progressed in the NRG Gym Les Leckie Cup, while Old Roan, Stansfeld (Oxford & Bermondsey) Reserves and HFSP & Ten-Em-Be were all winners away from home in their London Junior Cup first round ties. Faversham Strike Force, Kennington and Staplehurst Monarchs United were three Premier Division sides who made early exits on Kent Reliance sponsored Intermediate Challenge Shield First Round weekend. Tom Wright’s hat-trick set-up Ide Hill’s 5-1 win at Strike Force, while Wes Foord and James Everitt netted for Hawkinge Town as they won 2-1 at Kennington. Two of the home victors were both big winners. Roy Godden, Warren Smith and Lewis Butler all scored twice as New Romney beat Orpington 10-0. Five-goal Dan Hanshaw and Matt Gething’s second successive hat-trick claimed the scoring honours in Cuxton 91’s 8-1 win over Staplehurst Monarchs United. The Maidstone villagers’ twitter feed can always be counted on for an honest assessment of the team’s performance – win or lose – and this week was no exception. Dave Milton and assistant manager Chris Steadman netted as Chipstead marked their first home game of the season, beating Hildenborough Athletic 2-1. Bexley’s Owen Griffiths scored twice in the 4-0 win at Deal Sports. Robert Dulan, Anthony Tye and sub Troy Abbey helped Tudor Sports progress with a 3-2 win at Halstead United. Good wishes go to Mark Johnson of Farnborough Old Boys Guild who suffered a badly broken leg at Halls AFC. forcing the tie to be abandoned, now rescheduled for Wednesday night. Johnson is the second Premier Division player in the space of three weeks to suffer a serious early season injury, joining Fleetdown United’s Tom Eyres on the sidelines. Teenager Sol Solomon ended Otford United’s interest in the competition. The 16-year-old substitute struck the 67th minute winner for Jersey club St Peter who now travel to the winners of the delayed tie. Otford goalkeeper Justin Lee back from a spell with Gravesham Borough, denied Jack Prince a late second as the visitors looked to press home their advantage, having missed several chances in the first half. The Channel Islanders left around 9:00am, stopped for a pre-match meal at K Sports, before catching the 8:pm flight home. They are now planning an overnight trip when they make their return to the County next month. Greenways won 3-0 with goals by Jack Jeffery, Junior Farrell and Simon Walton. In the Premier Division, Metrogas pair Tom Warner and Toyeeb Babatunde both score twice in the 5-1 win at Stansfeld (Oxford & Bermondsey). Tyrell Gebbie was a new name on the scoresheet as Borden Village earned a 2-0 win at Fleetdown United, George Latham getting the other. Plenty of goals in the NRG Gym Les Leckie Cup First Round ties. Callum Orpin and James Whyte got two apiece in Wateringbury’s 6-2 win at Deal Town Rangers. Max Savage’s double helped former winners Larkfield and New Hythe Wanderers claim their 3-2 extra-time win over Aylesford. Matt Forster also scored twice for Ashford in their 3-1 success at Woodnesborough. Winning boss Ryan Norman has linked up again with new assistant Graham Prior, the pair having previously worked together at Kennington. Abraham Opuku wasted little time in getting off the mark this season! The Peckham Town striker, last season’s Sharpshooter of the Year winner with 45 goals, made his first appearance of the new campaign, and started with a hat-trick in the 6-0 win over Lydd Town Reserves. Opuku scored four twice against Lydd last season, and hit seven hat-tricks spanning August to April, Brian Morgan’s team finishing on the wrong end of a third successive heavy defeat against the South London club. Ali Amisu hit two more, taking him to eight for the season. Kennington are another free-scoring team, and moved second following their 5-3 win at Metrogas. Tom Scorer hit two, with top scorer Carlum McLeod, Joe Fisher and Dale Davis getting the others. Jake Williams scored twice as Stansfeld (O&B) won 2-1 at Farnborough OBG to go third. Fourth placed Greenways drew 0-0 at home to Staplehurst Monarchs United who hailed it as “a great performance from the 11 who turned up.” Ross Morley scored twice for the second week running as Tudor Sports upset morning leaders Bexley 3-1. Ashley Cameron put them in front early on, before Morley completed his double in the space of 10 minutes around the hour mark. He fired home from the edge of the box with a precise left footed finish, before converting a penalty after being brought down. Bexley substitute Sam Fullilove pulled one back with 10 minutes left – and also missed a great chance of a second before the end. Division 1 Central & East top-two Kings Hill and Cuxton 91 both won. Daniel Melvin scored twice as Kings Hill beat Deal Sports 3-0, while Matt Gething’s hat-trick paved the way for Cuxton’s 4-0 win over K Sports Reserves, making it 15 without reply in their last three games. James Paull’s winner earned Old Bromleians their 1-0 win over Division 1 West top side Club Langley. Six-goal Reece Gillies was the pick of the scorers as Rochester City claimed their second double figure win of the season in Division 2 Central & East, 16-0 over Larkfield and New Hythe Wanderers. Adam Hill hit five and Connor Linton four. George Harris got two as Division 2 West leaders Sydenham Sports made it four wins out of four with a 4-0 win at Nomads. 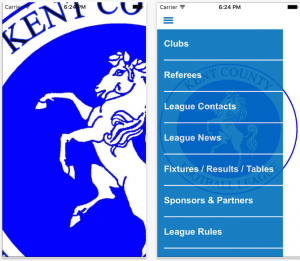 Deal Sports Reserves, CC Sport, Ashford FC and AFC Ashford Athletic all progressed in the Kent Reliance Junior Cup. Damian Abel was another six-goal man in Hawkinge Town’s 12-1 NRG Gym ‘Bill Manklow’ Inter-Regional Challenge Cup win over Herne Bay Reserves. Rolvenden and Long Lane are also through while AFC Bexley went through on 4-3 in penalties in the NRG Gym ‘Barry Bundock’ West Challenge Shield finish in a tie which ended 3-3 after-extra-time against South East Athletic. Bexley manager James Corne admits he has enjoyed watching his side’s early season form which has taken them top of the County League Premier Division. Joe Abbott is the man in form, scoring his fifth goal in as many games with the winner against Fleetdown United on Saturday. Corne said: “We had a good pre-season, kept most of the squad, and added where we thought we needed to. “When the fixtures came out we thought we had a tough draw and see ourselves a target and we have reached that. Bexley lead on goal difference from Greenways who dropped their first points after being held at home 1-1 by New Romney, their second of the season. Billy Weir-Somerville netted for the second successive game with Brad Cross on target for the home side, his second of the campaign. Adam Phillips marked his farewell from boyhood club Kennington with a goal in the 4-1 win at Lewisham Athletic. Phillips has joined Bostik South side Ashford United and was on the bench in Tuesday’s 1-0 win over Ramsgate. Carlum McLeod maintained his impressive goal record – with his seventh, Joe Fisher and Tom Scorer getting the other two. Ali Amisu hit his sixth of the season as Peckham Town won 3-0 at home to Faversham Strike Force. The visitors were left to rue a first half double penalty miss. Stansfeld (O&B) came back from 3-0 down to draw 3-3 at home to Borden Village whose first five games of the new season have seen a total of 35 goals scored. Ross Morley scored twice as Tudor Sports won for the first time – 3-2 at Lydd Town Reserves, their first defeat of the season, Ryan Easter again on target, taking his tally to 11. Peter West scored both as Staplehurst Monarchs United beat Farnborough OBG 2-1. No shortage of goals in Division 1, Paul. Booth has never stopped scoring goals in a prolific career and isn’t stopping now, with four as the Central & East pacesetters Kings Hill overwhelmed Hildenborough Athletic 8-0. Damian Abel is another who hasn’t lost the scoring touch with a hat-trick as Hawkinge Town won 5-1 at Guru Nanak. Richard Aidoo’s hat-trick helped West leaders Club Langley to an 8-1 win over Orpington. Greenways made it four wins out of four with a 3-1 win at Tudor Sports to go top of the Premier Division. Junior Farrell hit his third in two games, with Nick Donaldson and Aaron Kleman adding the others. Ryan Easter made it 10 in four games as Lydd Town Reserves dropped their first points of the season in a 2-2 home draw against Farnborough Old Boys Guild. Stansfeld (O&B) and Bexley are also into double figures, with away wins at Fleetdown United and New Romney. 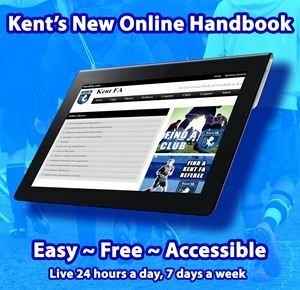 Joe Abbott netted his fourth of the season for Bexley in their 2-1 win on the Kent coast. Carlum Mcleod is another in-form striker taking his tally to six, scoring a hat-trick as Kennington beat Otford United 7-3. Ali Amisu also hit three as Peckham Town won 4-2 at Borden Village. Nathan Laker got off the mark for the season with both as Staplehurst Monarchs United won 2-0 at Faversham Strike Force. Jay Green (Metrogas) and James McInerry (Lewisham Athletic) were the scorers as the two teams drew 1-1 in the other game. Kings Hill and Hawkinge made it two wins in two in Division 1 Central & East. James Everitt’s hat-trick helped the latter beat Herne Bay Reserves 4-3. Former KCL Sharpshooter of the Year Daniel Hanshaw and Matt Getjomg hit two each as Cuxton 91 beat Hildenborough 7-0. Gabriel Braimah and Marcus Travers netted for Club Langley as they made it six points out of six in Division 1 West with a 2-1 win at Sutton Athletic Reserves. Jordan Wylie hit five for Rochester City as they put 14 past New Romney Reserves in Division 2 Central & East. Adam Hill got four of the others. Nomads and Sydenham Sports won their opening two games, Kane Walker’s treble helping Nomads win 5-2 at Dulwich Village. Ryan Easter continued his impressive scoring touch as the Premier Division’s early season front runners Lydd Town Reserves made it three-out-three with a 3-2 win at Otford United on Saturday. Skipper Easter scored twice to make it nine in three games. Third placed Greenways are the other team with a 100% record, coming from 3-0 down to win 4-3 at Metrogas, Junior Farrell scored twice with Nick Donaldson and Brad Cross doing the others. Borden Village are second after a six-point weekend with a 4-3 home win over Faversham Strike Force on Monday following a 5-0 victory at Farnborough OBG 48 hours earlier. George Latham and Lewis McCrory scored twice in both games. Dominic Weston went one better with five, a hat-trick as new-boys Lewisham Athletic won 4-2 at Staplehurst Monarchs United on Monday and two in the win by the same score at Faversham Strike Force 48 hours earlier. Carlum McLeod, Harry Goddard and an own goal helped Kennington beat New Romney 3-0 on Monday, after a 1-0 defeat at Bexley. Joe Abbott got the winner, with Tyler Norbert on target in the 1-1 draw at Stansfeld (O&B) (Archie Johnson). The latter finished second best on Saturday, beaten 4-0 at Staplehurst Monarchs United, Ed Hodges scoring twice. In Division 1, Daniel Melvin was the pick of the scorers with a hat-trick as Kings Hill started the season with a 10-1 win over Rolvenden. David Barrington hit four as Nomads beat Belvedere 11-0 in Division 2. Danny Stokley and Ryan Leaver both netted hat-tricks as Sporting Club Thamesmead Reserves won 10-0 at AFC Lewisham in Division 3. Golden Boot awards are never won in August but Ryan Easter is proving a real sharpshooter and stealing a march on everybody else after scoring seven in two games for Lydd Town Reserves. Easter followed up his opening day double at Staplehurst Monarchs with five as Lydd thrashed Metrogas 6-1. Stansfeld (O&B) head the table on goal difference having also been in free-scoring mood, beating Faversham Strike Force 8-1, and all by different scorers, Omar El Mantawy, Ben Mulrooney, George Martin, Mark McKenna, Archie Johnson, George Lyon, Sammy McDonald and sub James Hammond. Greenways are the third team who have won both games, Alex Clare scoring his third of the season, in the 1-0 win at Bexley. Issac Hancock scored twice as Borden Village beat Staplehurst Monarchs United 4-2, with Jay Law and Lewis McCrory adding the others. Femi Dada and Kenneth Ilo earned Peckham Town their 2-0 win at home to Fleetdown United. Promoted pair Lewisham Athletic and New Romney earned their first Premier Division point in a 2-2 draw in South London. Alex Greenfield and James McNamara netted for Athletic while Jack Moran and Greg Hitchman made sure Romney earned reward for their long round trip. All the goals came in the first half as Farnborough Old Boys Guild also drew 2-2 against another promoted club Otford United. Jourdon Howard put Farnborough in front after five minutes, before an own-goal helped the visitors pull level three minutes later. Rory Catt got the O’s second in the 24th minute, before Leon Farwell converted a penalty eight minutes later. O’s new manager Mike Langston said: “We are still building the squad, but happy with the way it’s progressing. “I thought we deserved three points, but I suppose their manager did as well. Bank Holiday weekend sees Premier Division games on both days Saturday and Monday. Saturday also sees the full programme of matches in Divisions 0ne, Two and Three. Good luck to all teams old and new and even returning ones like former Premier Division champions Bromley Green who start in Division Three Central & East at home to Deal Town Rangers. Seven players scored twice in the opening weekend of the new Premier Division season on Saturday. Joe Abbott and Owen Griffiths hit two each for Bexley in the biggest win of the day, 5-1 at home to Farnborough Old Boys Guild. Former champions Faversham Strike Force, under new management this season started well with a 4-2 win at promoted New Romney. Chris Axford, son of Chairman and club founder Gary, got a couple, with Conor Young and an own goal completing the tally. Roy Godden and Reece Palmer netted for Romney. Ryan Easter made sure Lydd Town Reserves started the season well, with two in the 4-1 win at Staplehurst Monarchs United. Tom Morgans and substitute Niall Gordon added the others. Substitute Alex Clare came off the bench to net his double as last season’s runners-up Greenways began with 3-2 win at Borden Village. Aaron Kleman got the other, with Ashley Baverstock and George Latham on target for the hosts. Carlum McLeod hit two for Kennington in their 3-2 win over Peckham Town, in the meeting of two of last season’s top-four. Joe Fisher got the winner five minutes from time. Mark McKenna, Michael Zanelli and substitute Omar El Mantawy netted for Stansfeld (Oxford & Bermondsey) as they claimed the third odd goal in five win over Tudor Sports. Ross Morley converted twice from the spot for the visitors. He put them in front just before the half hour before Stansfeld levelled two minutes later with a free-kick from just outside the box. Morley converted his second penalty 10 minutes after the break, Stansfeld making it 2-2 soon afterwards. Sports had another effort ruled out for offside, before Stansfeld settled the contest with an 80 minute winner. Alfie Coates clinched an opening day win for Metrogas and new first team manager Mark Warner with the only goal of the game at Fleetdown United. Five games and 30 plus goals has already set the bar high as a new season takes shape. Hildenborough Athletic have unveiled their new management and coaching team. The appointment of Jay Bray, Matt Toms and Alan Swift comes ahead of the club’s opening Division 1 Central & East game of the new season at Guru Nanak on Saturday week. The club said: “Between them they have a wealth of experience, both playing, managing and coaching at a proficient level. “Matt has played for and managed both at Maidstone and Whitstable, while Alan has been a prolific County League player and recently coached Stones under-21s. Dennis Hughes has been appointed the club’s new secretary.